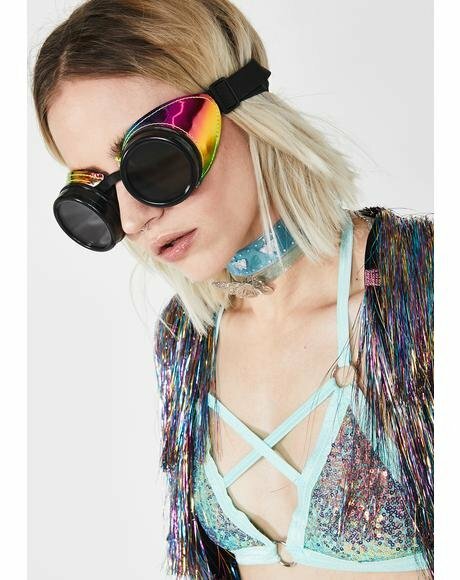 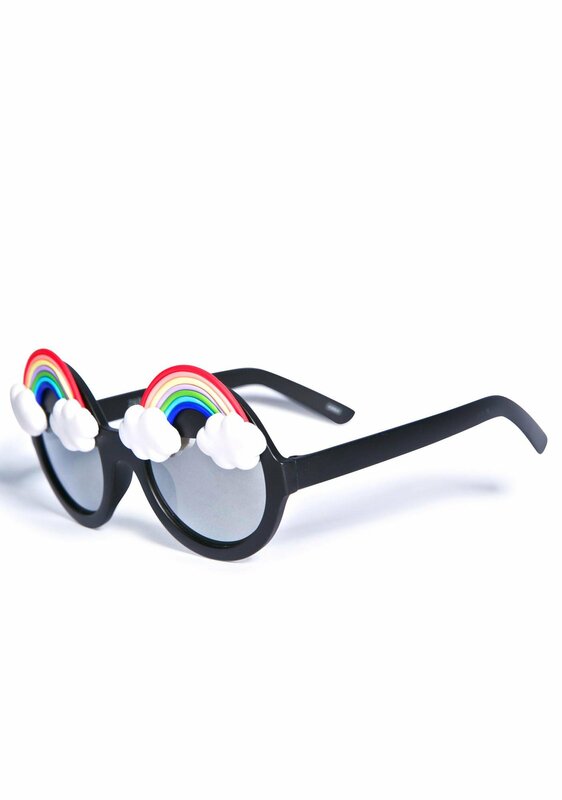 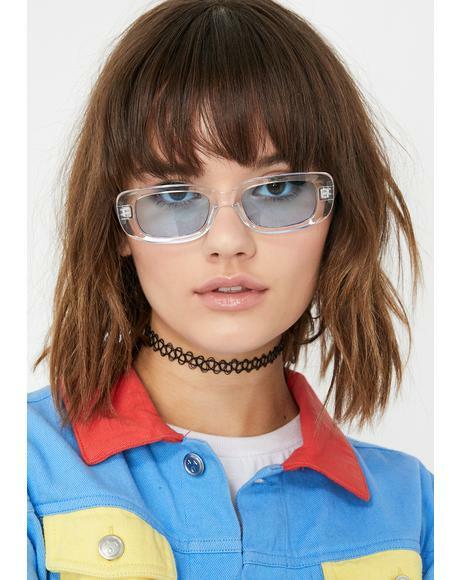 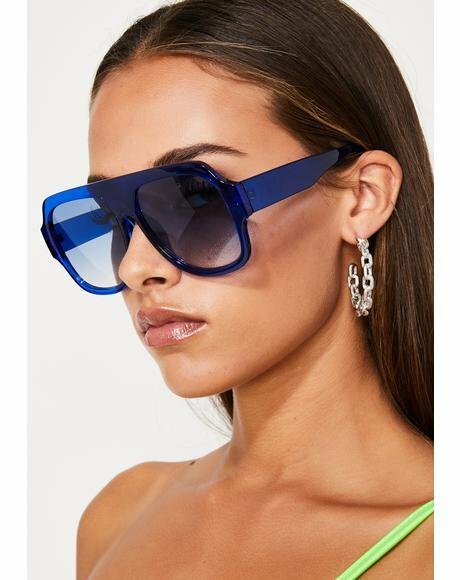 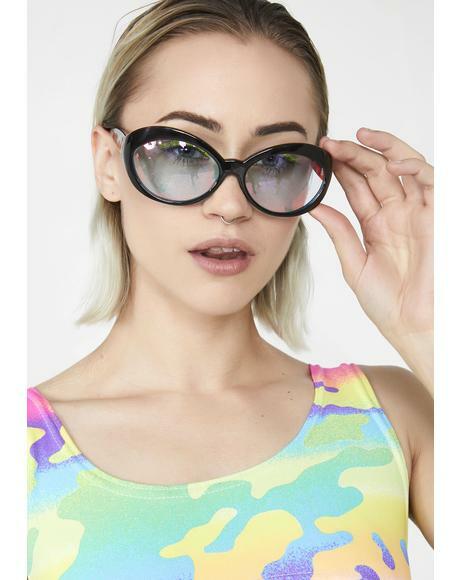 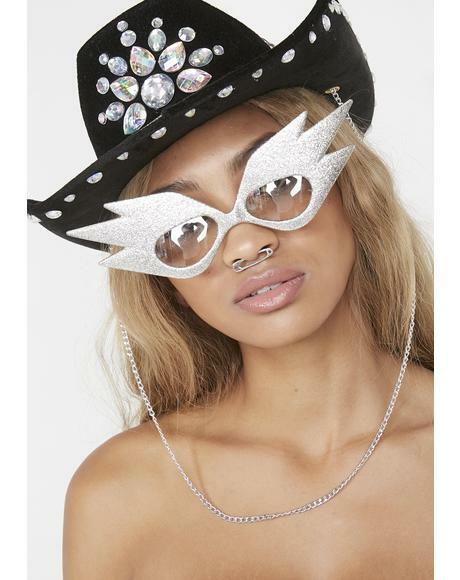 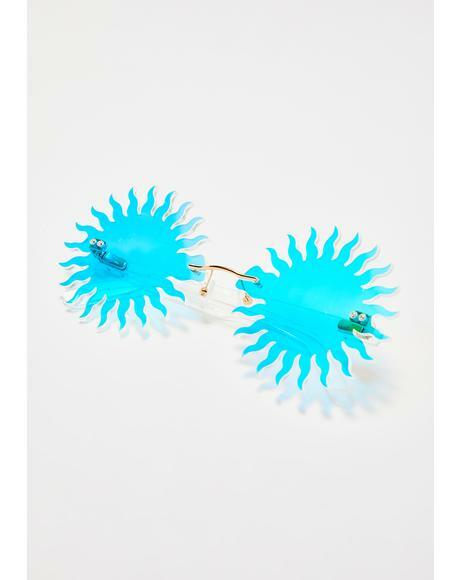 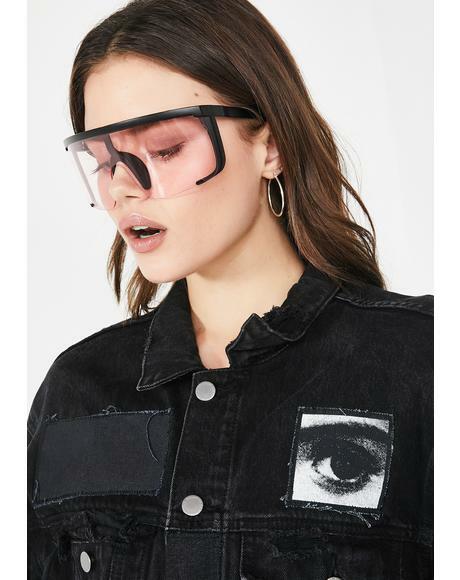 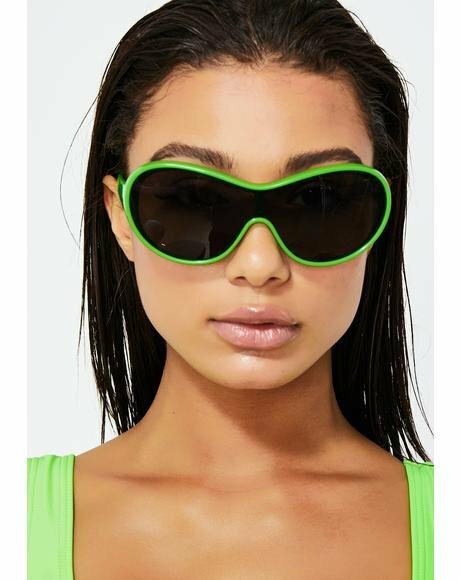 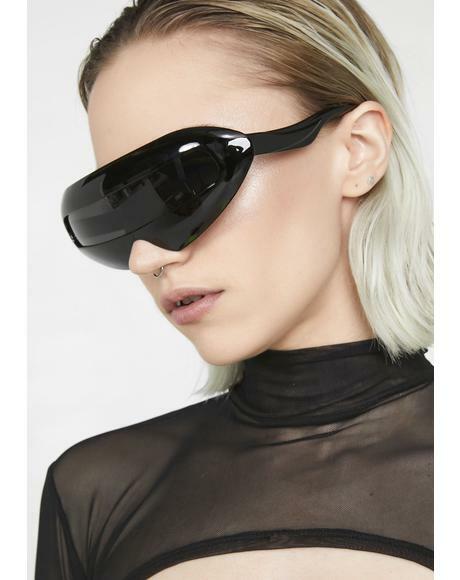 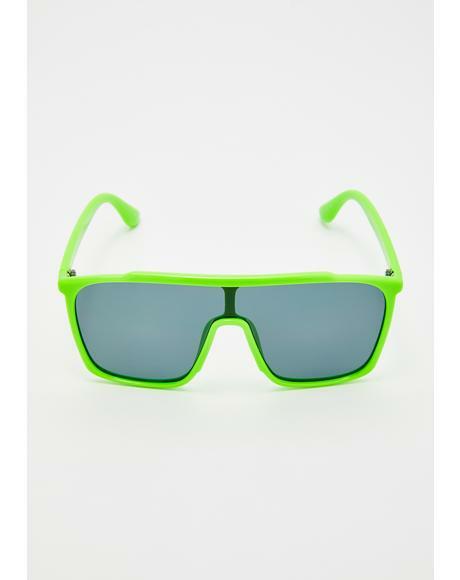 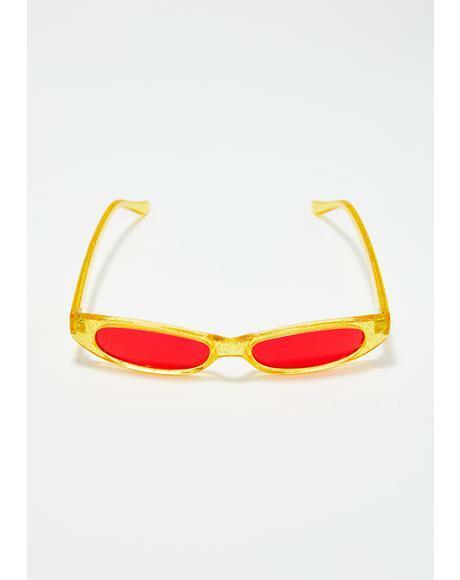 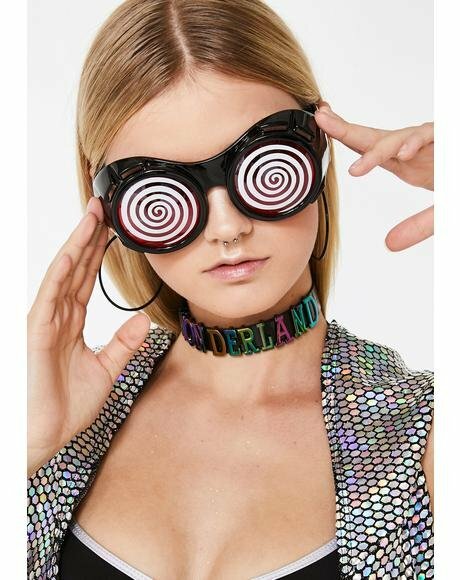 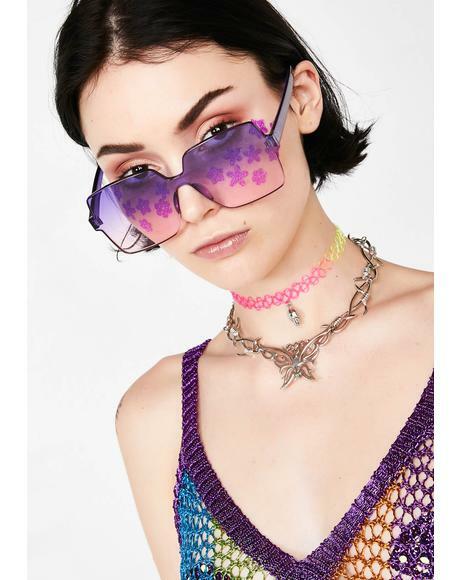 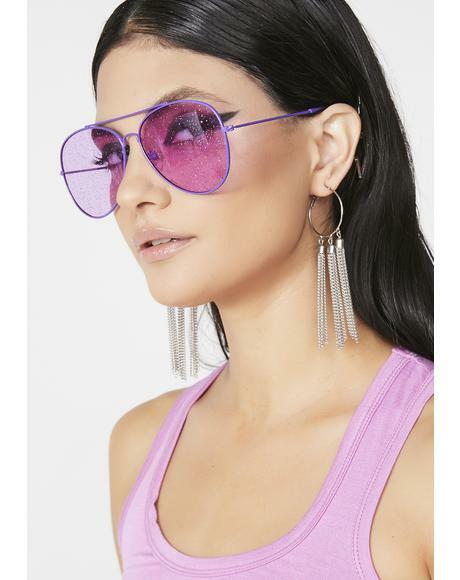 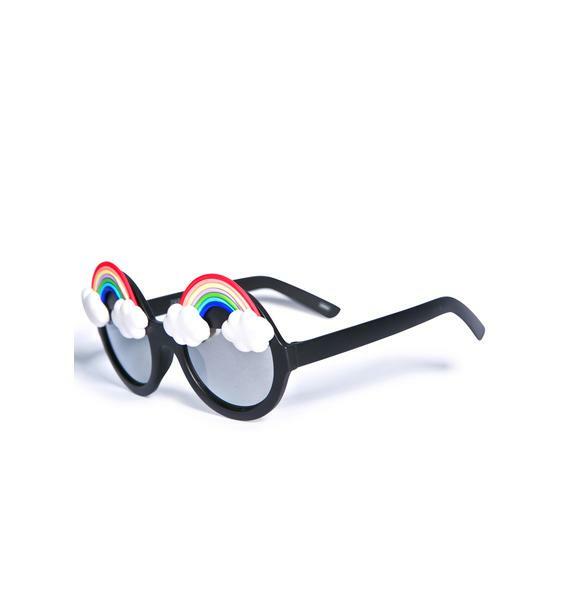 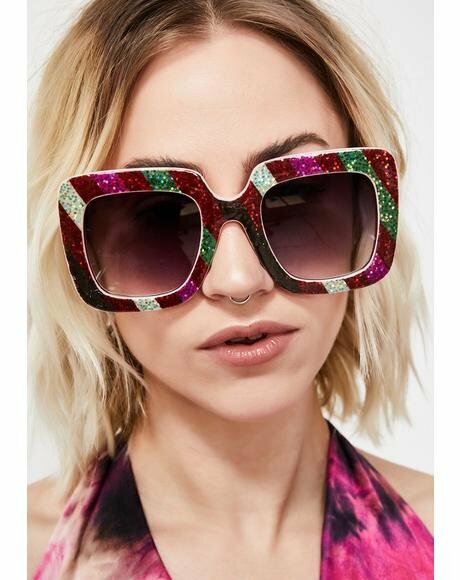 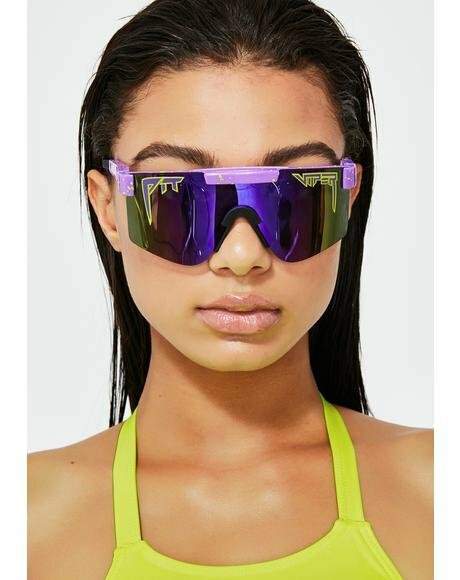 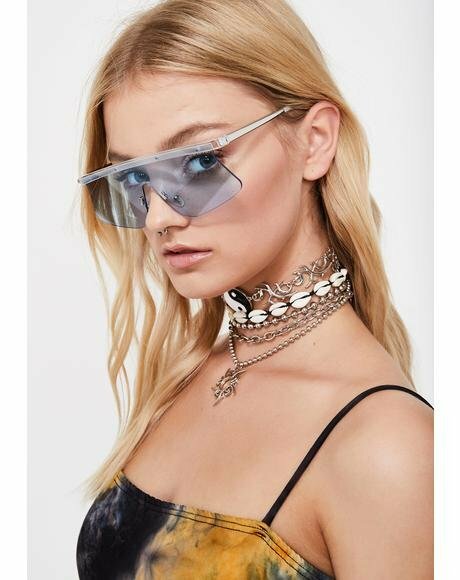 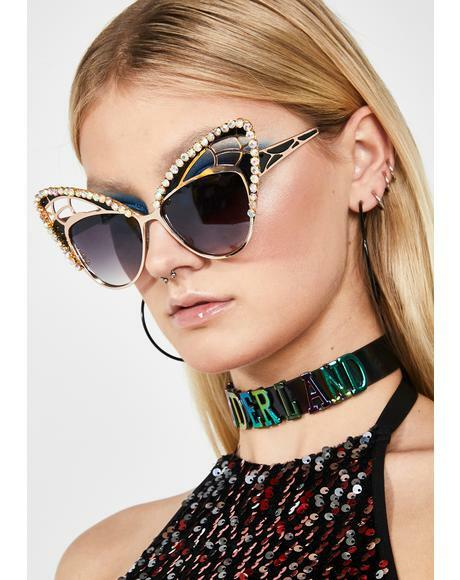 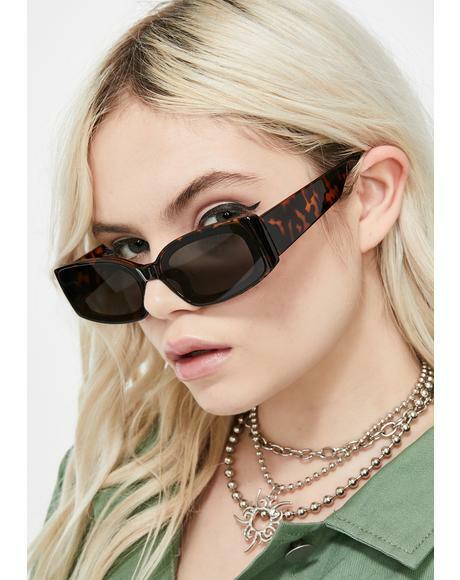 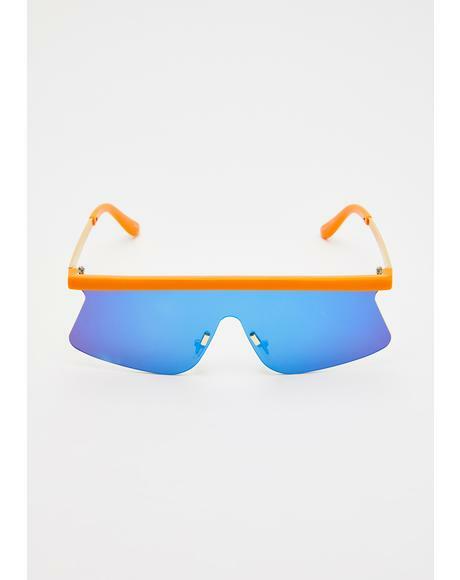 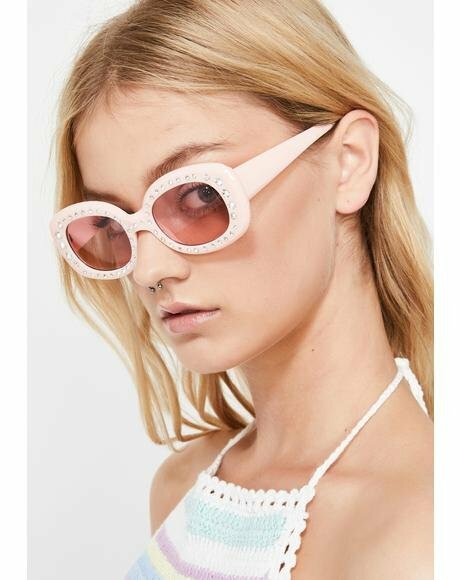 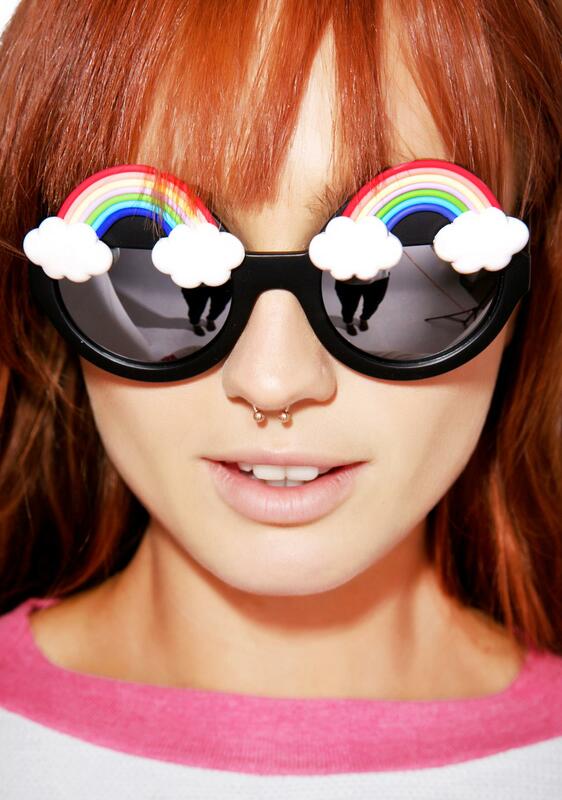 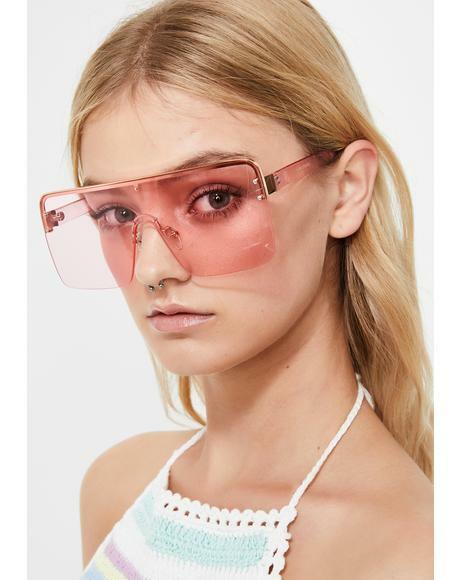 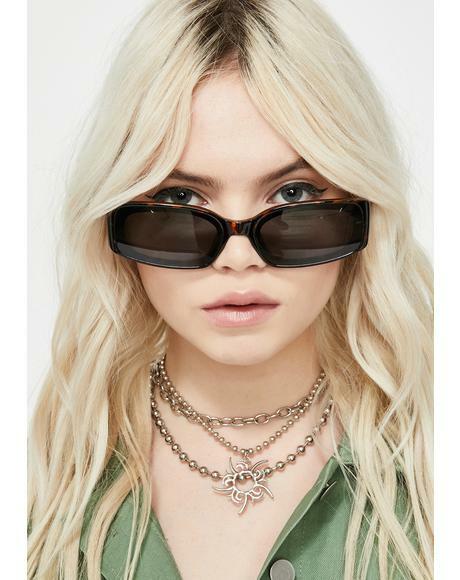 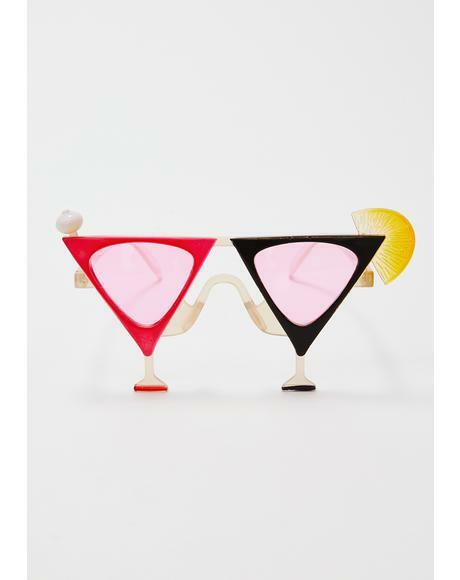 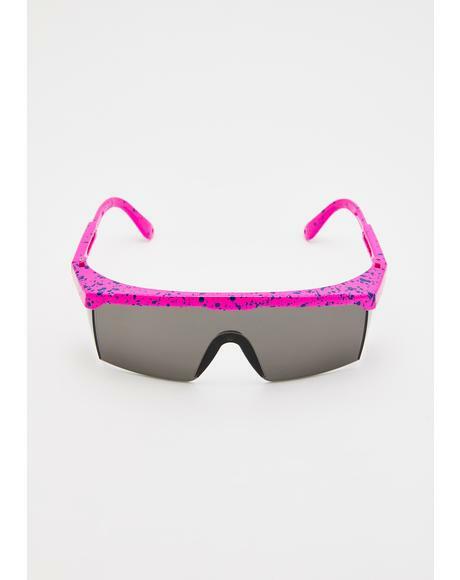 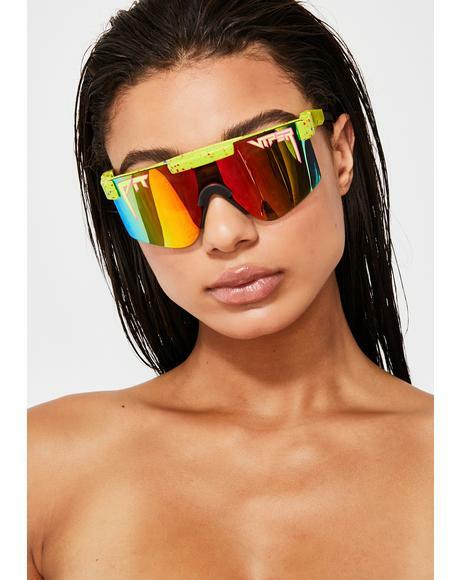 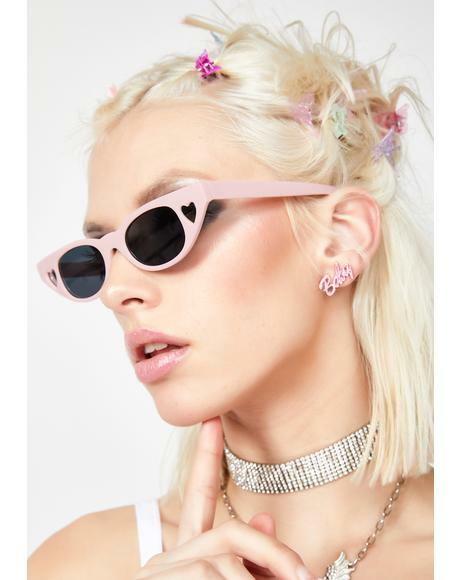 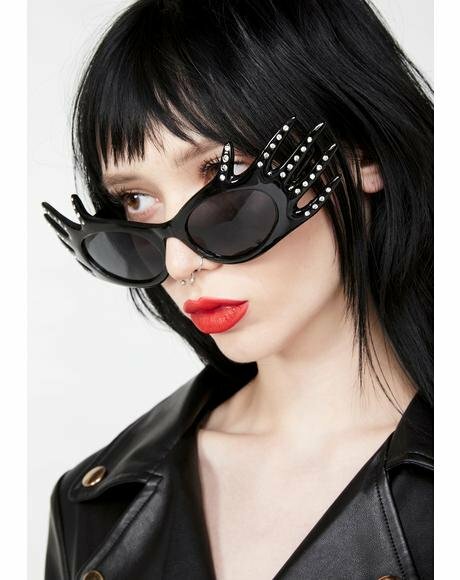 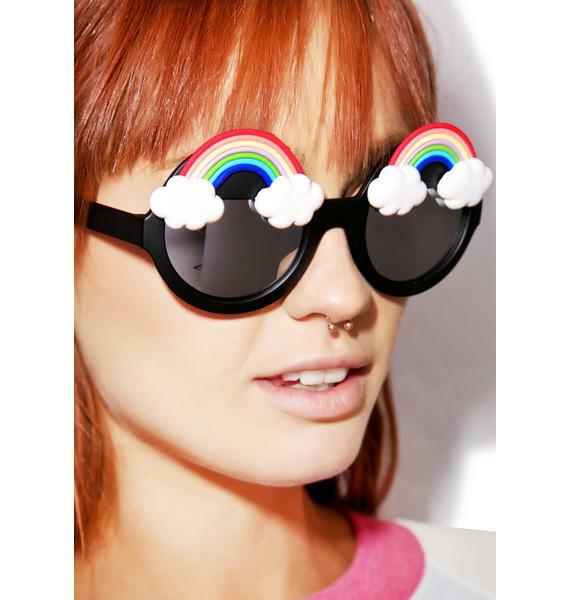 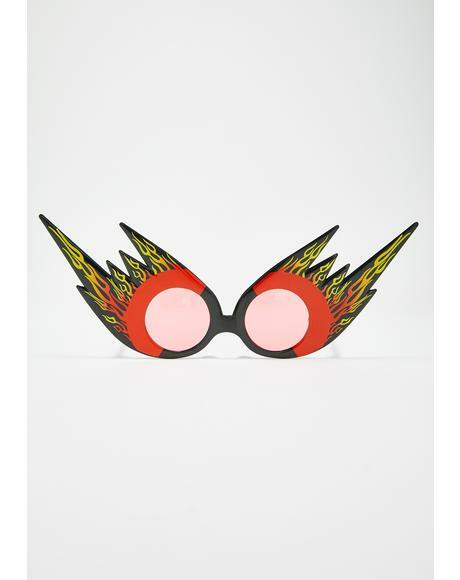 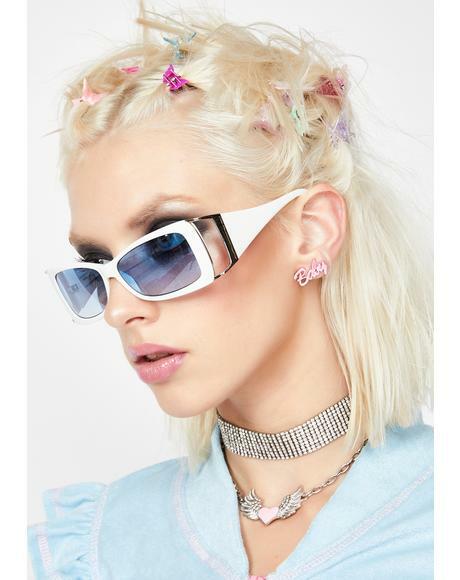 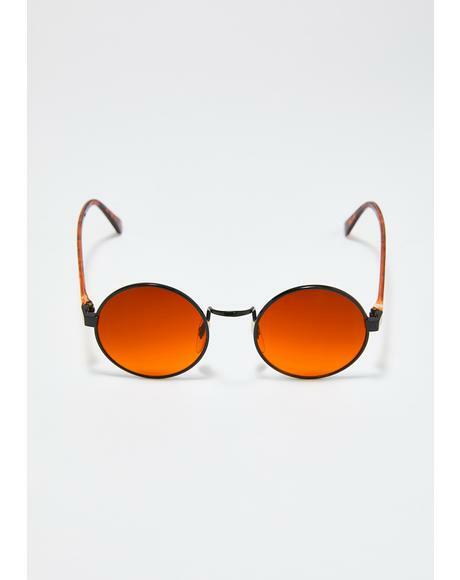 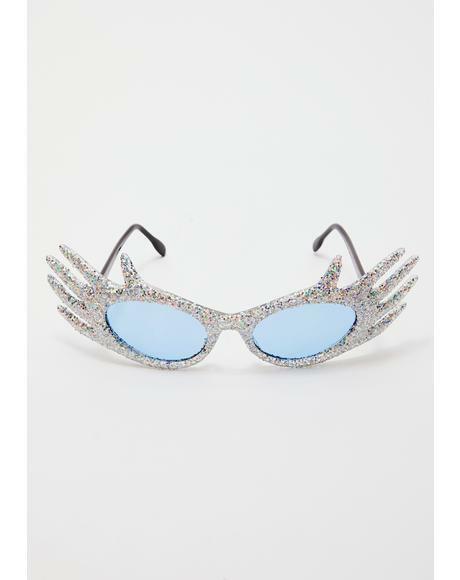 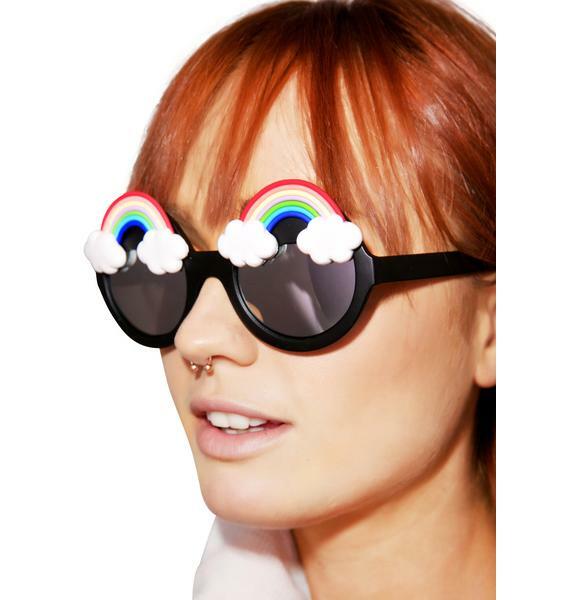 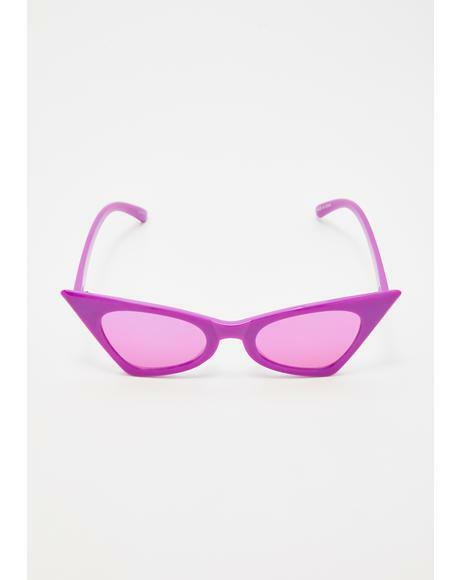 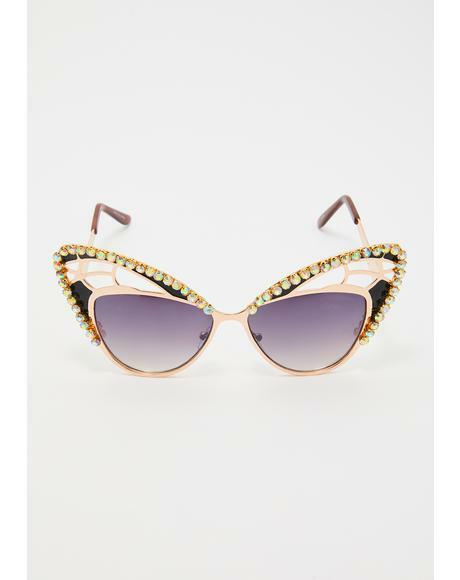 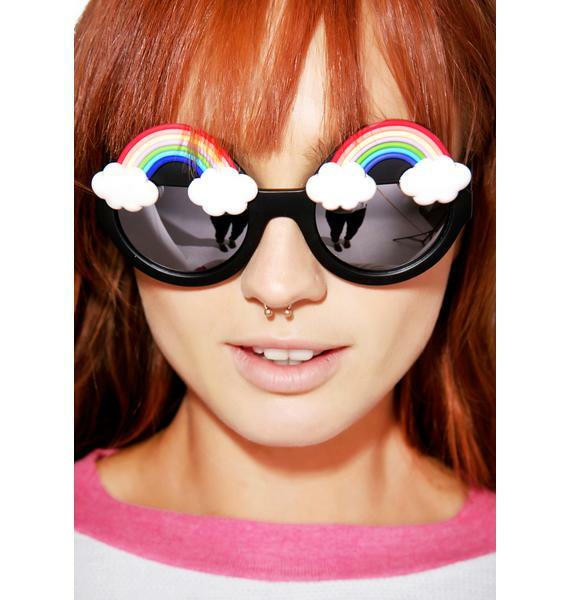 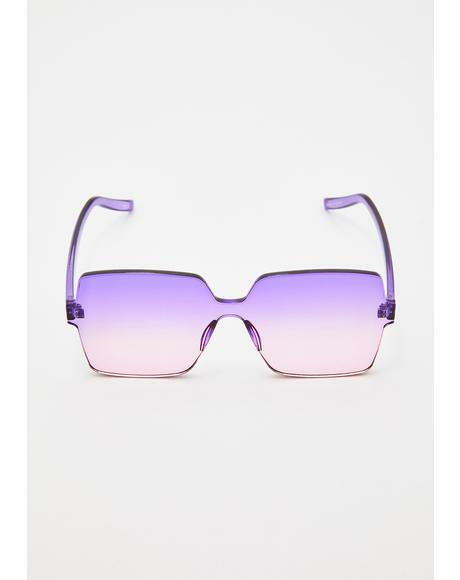 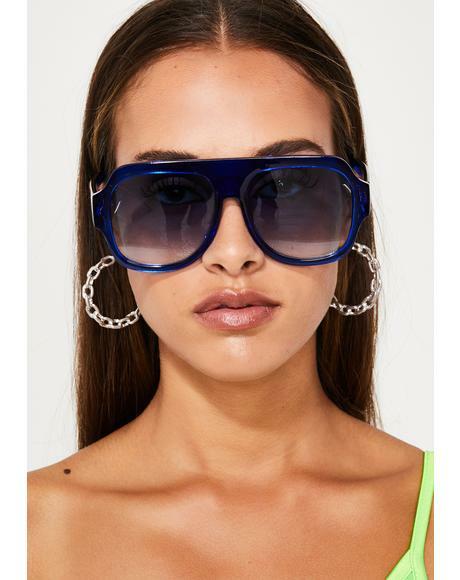 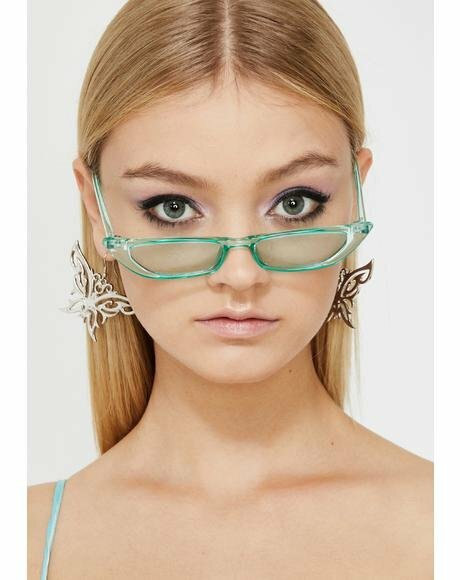 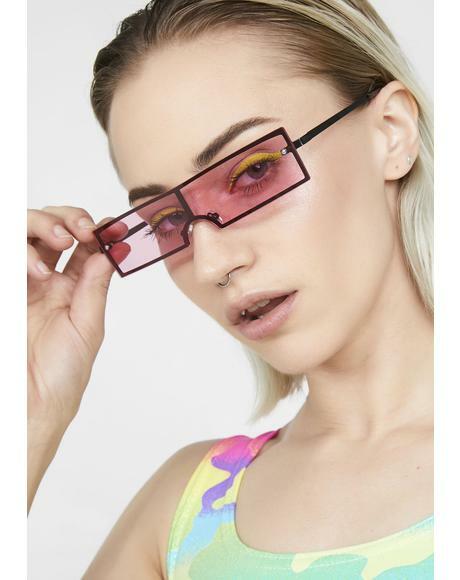 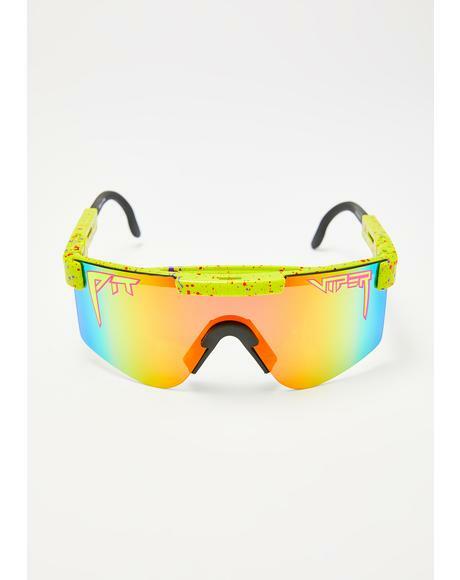 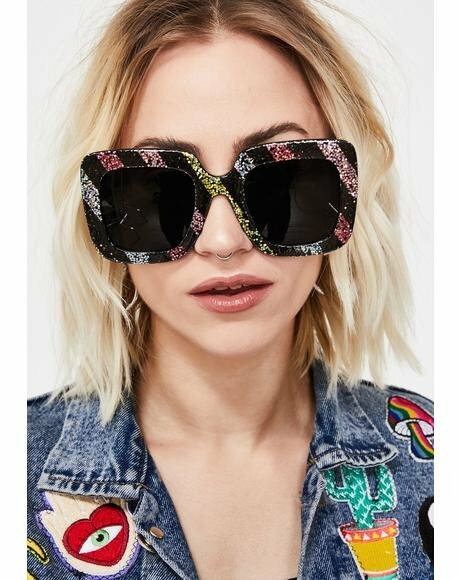 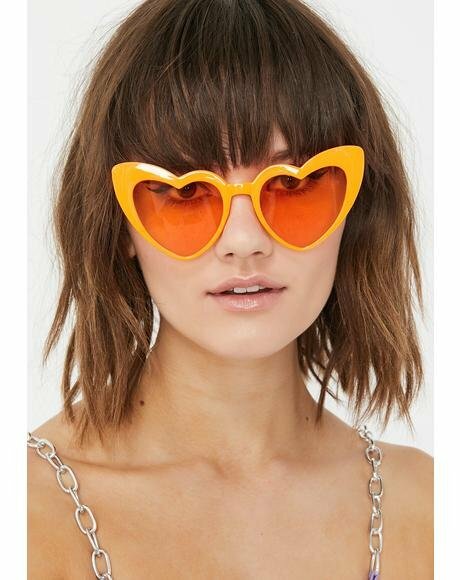 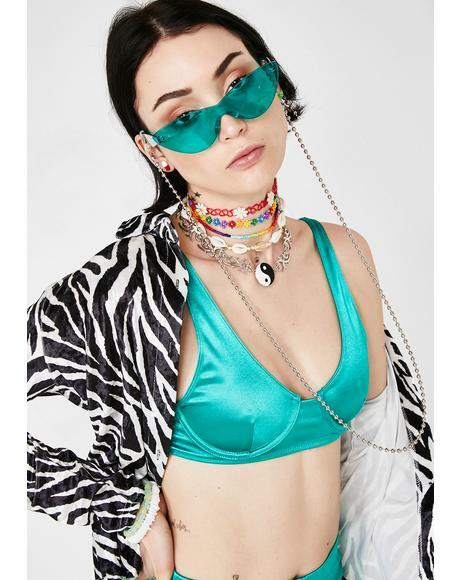 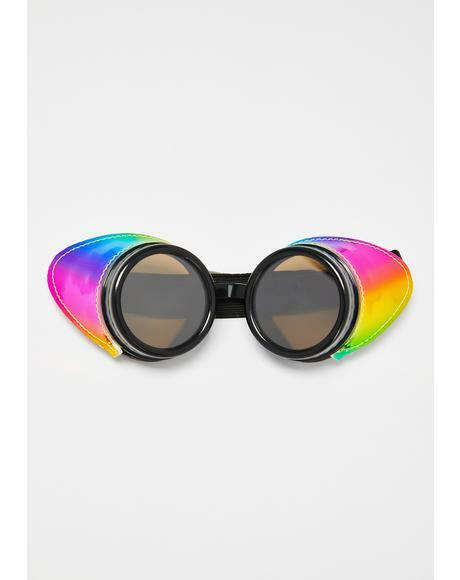 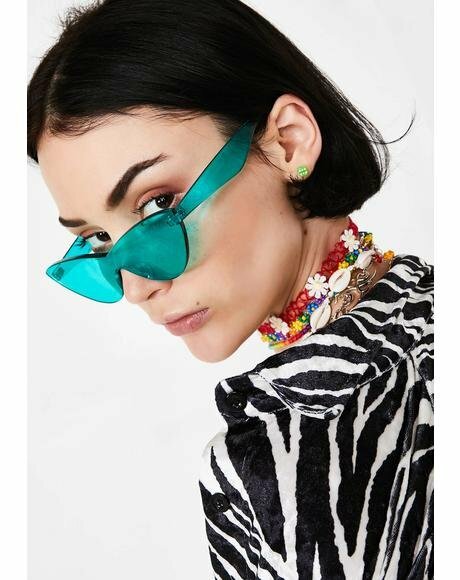 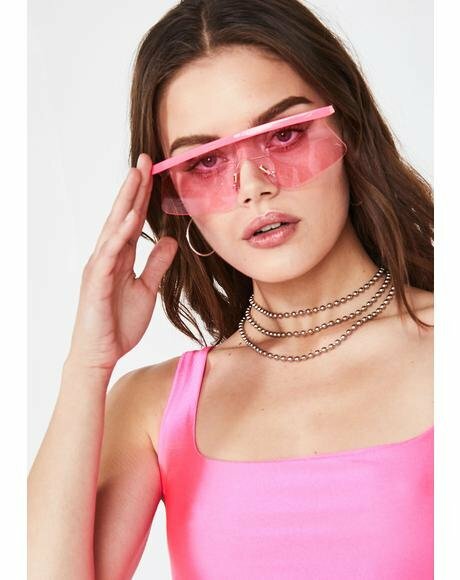 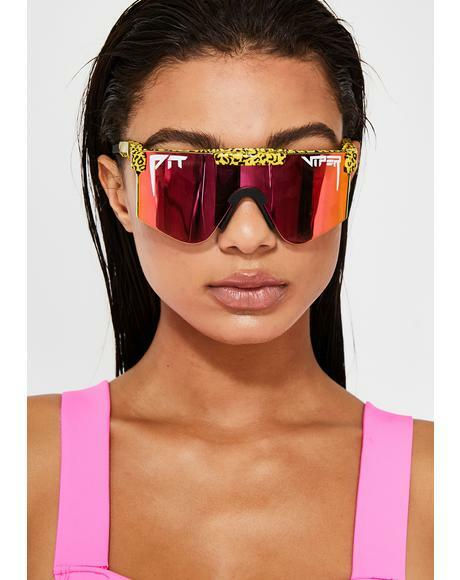 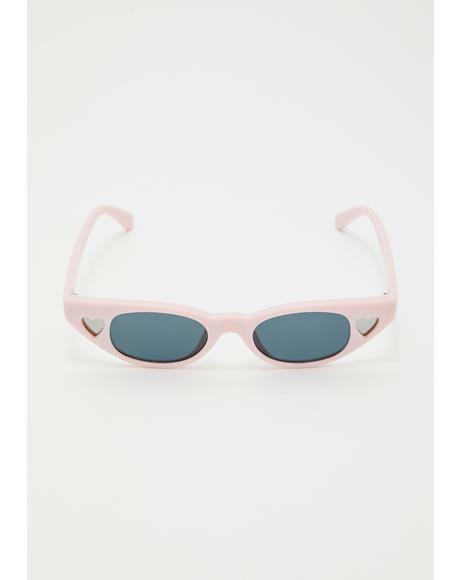 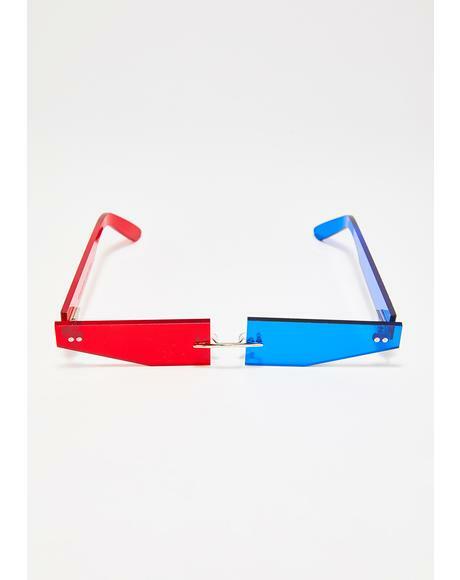 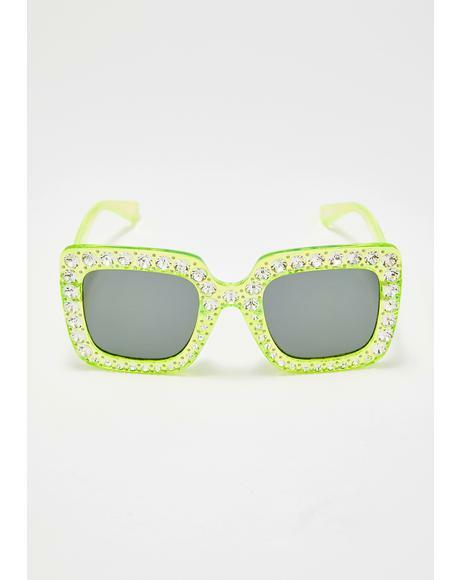 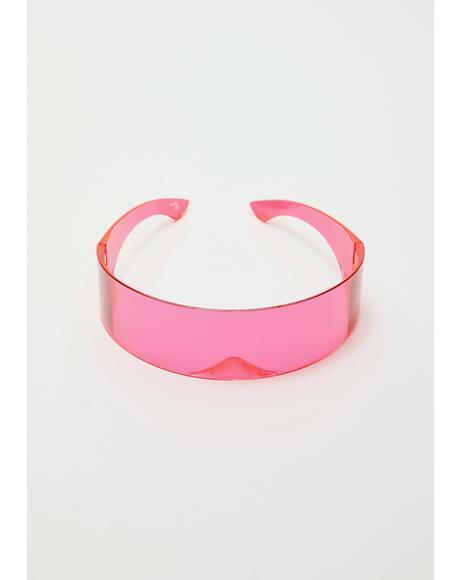 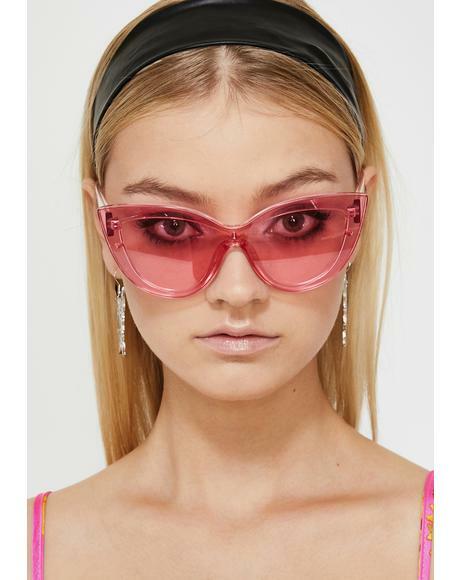 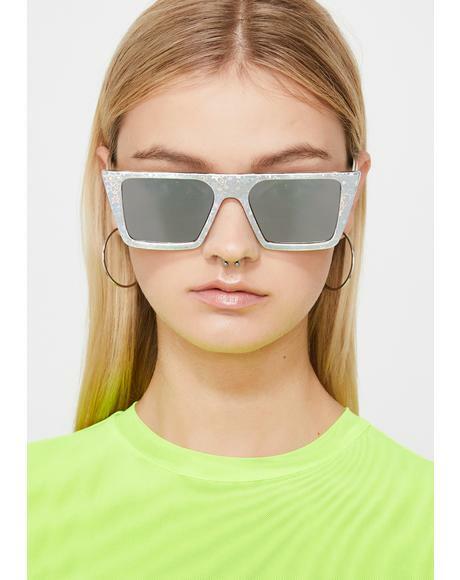 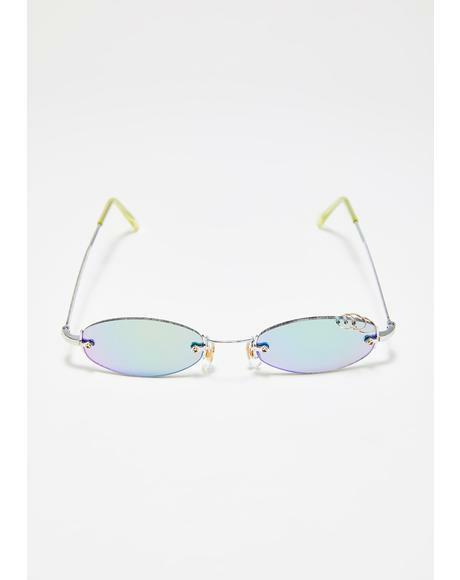 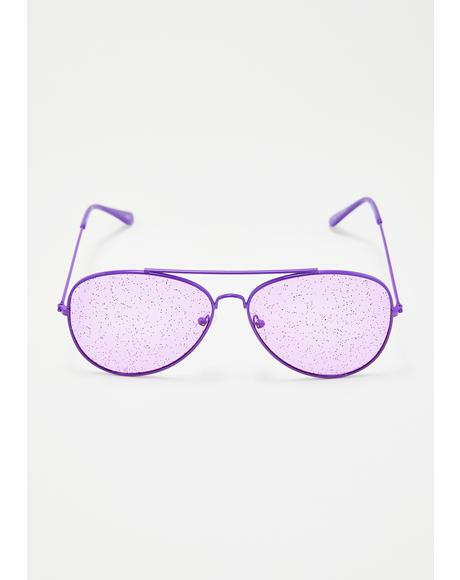 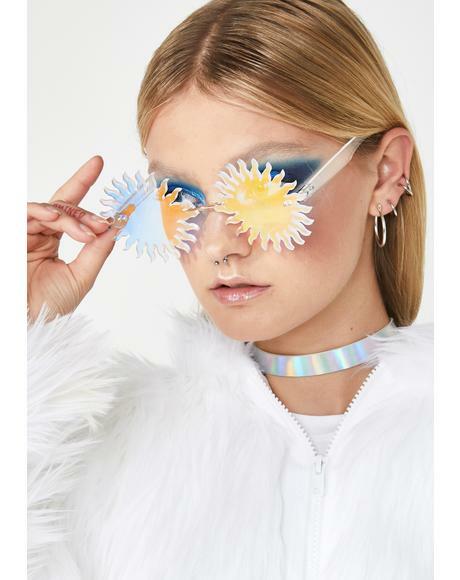 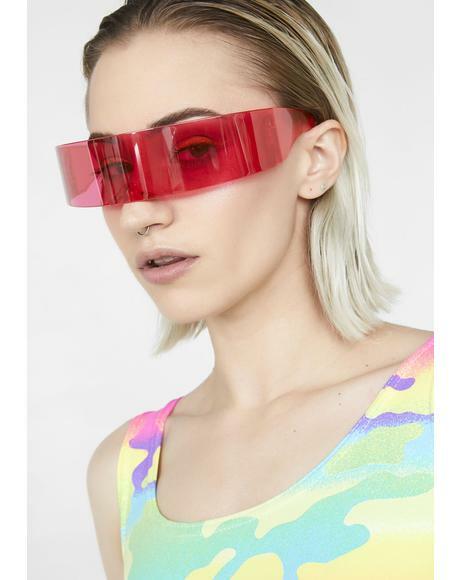 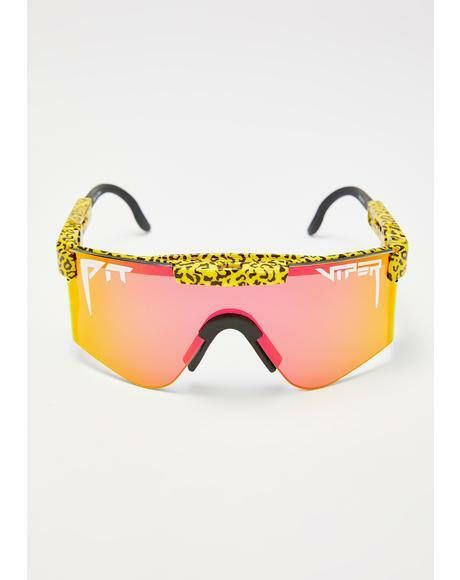 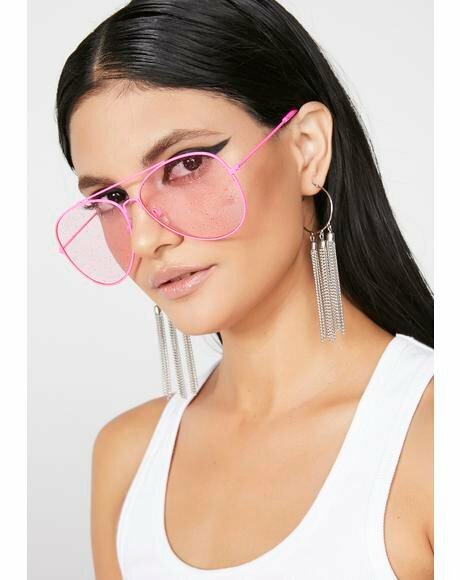 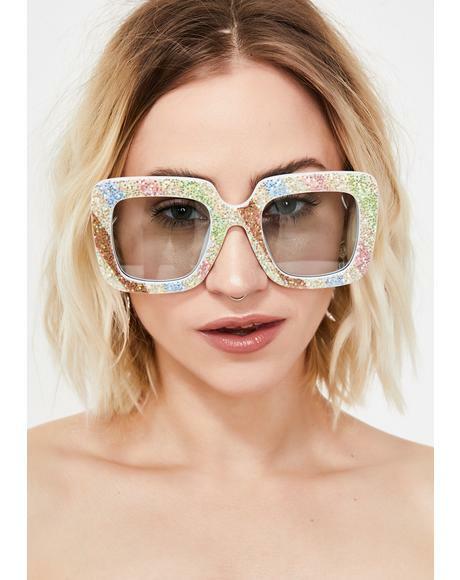 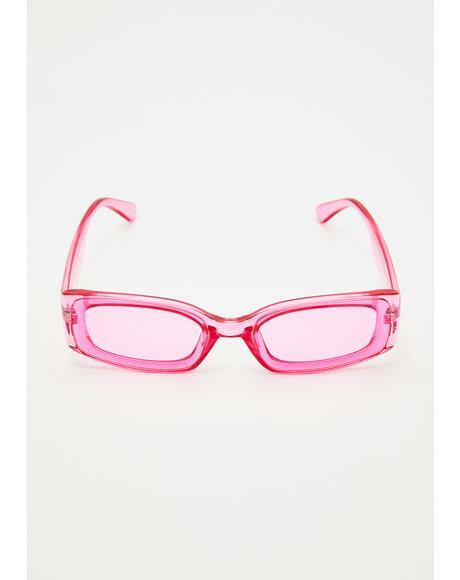 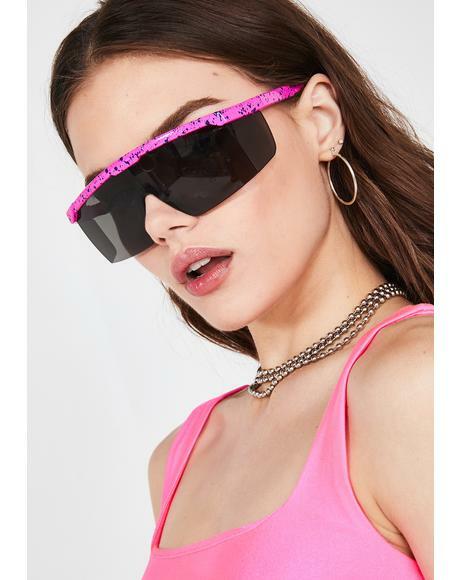 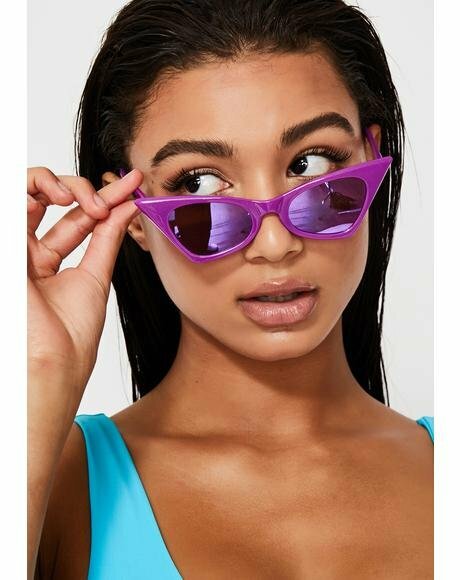 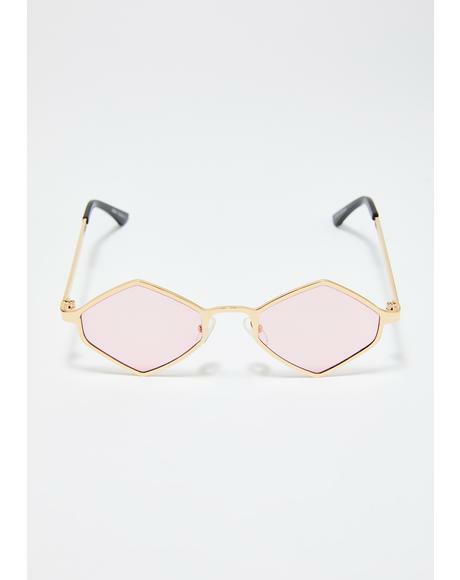 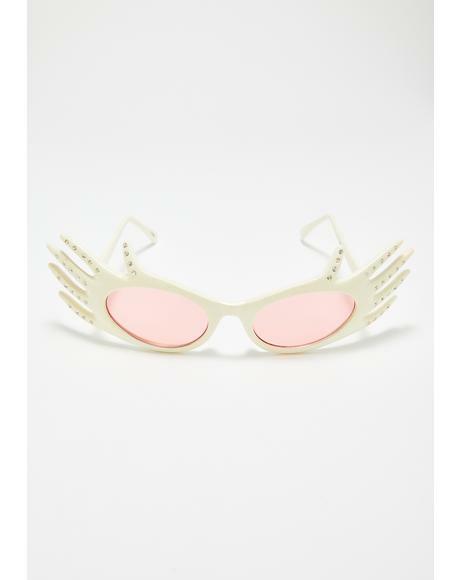 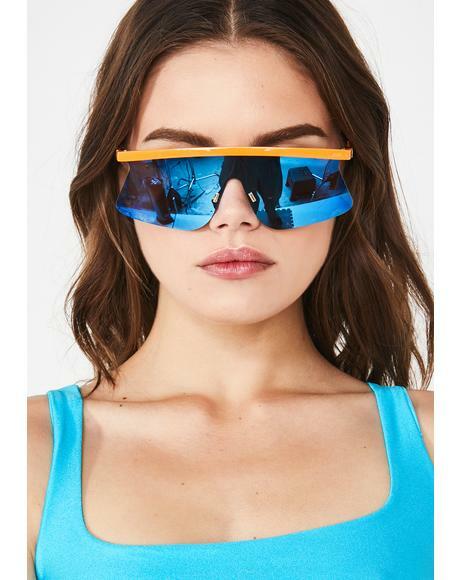 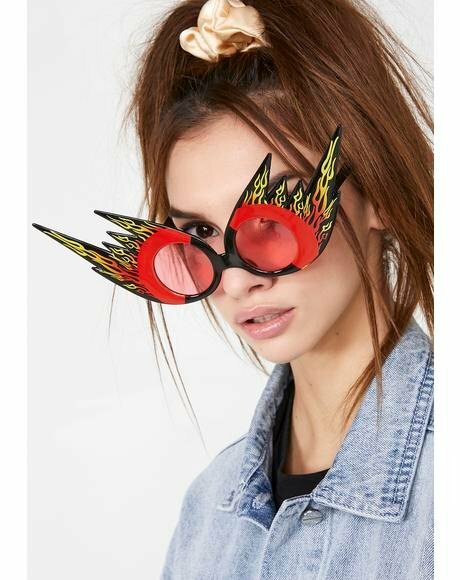 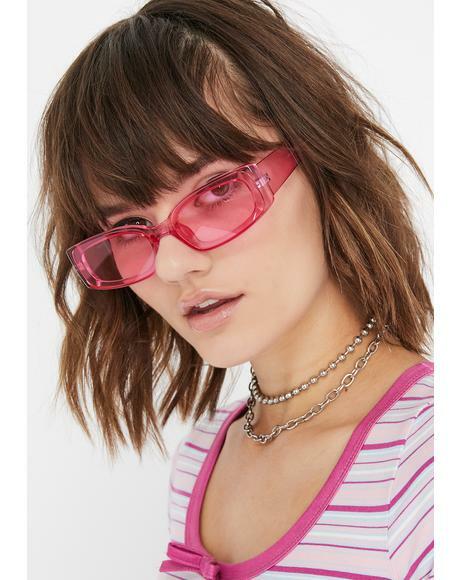 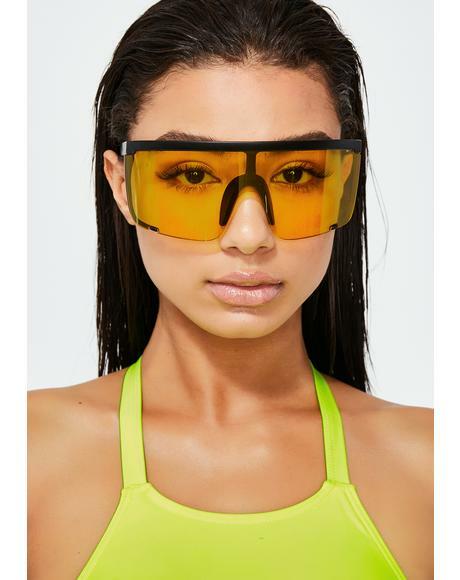 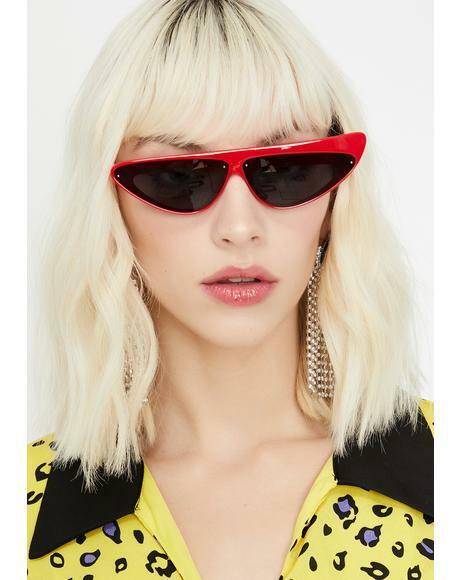 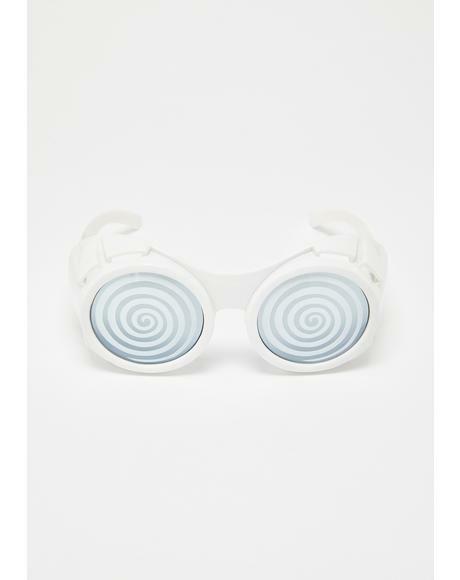 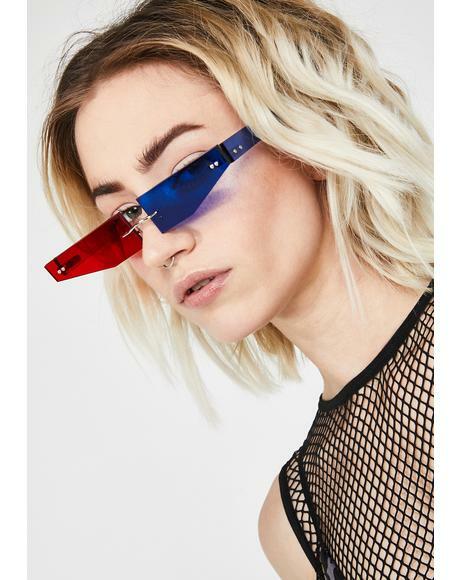 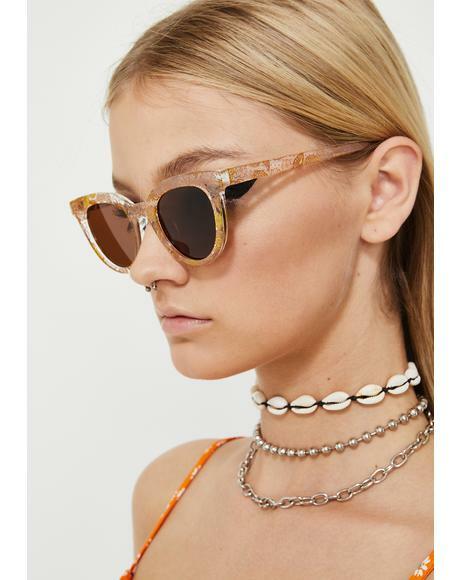 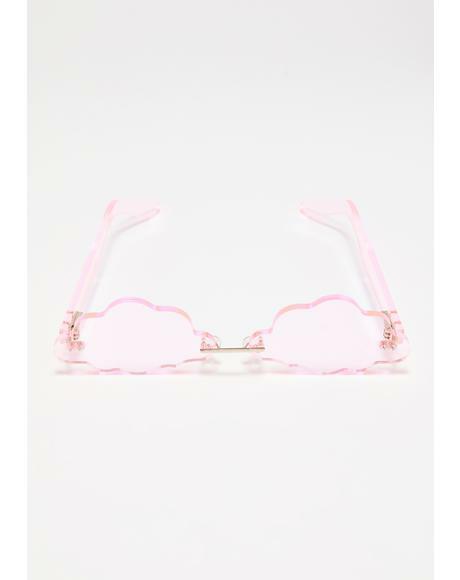 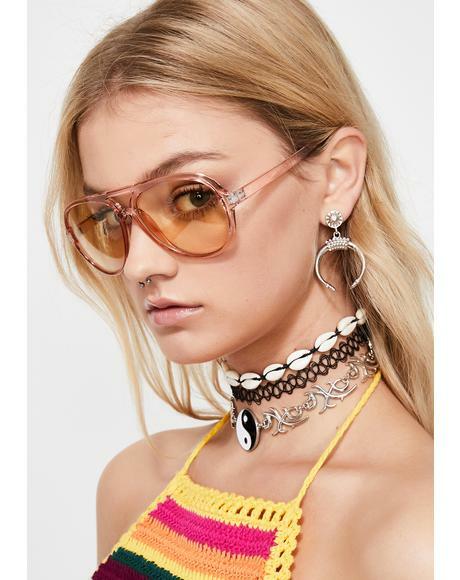 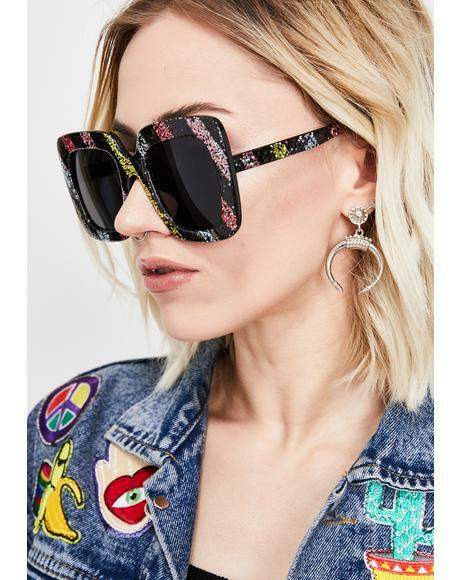 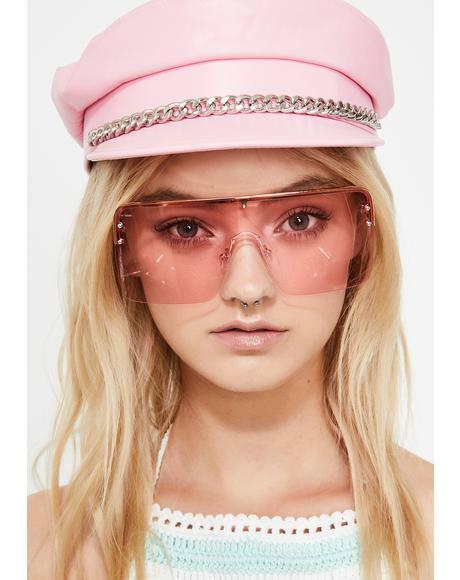 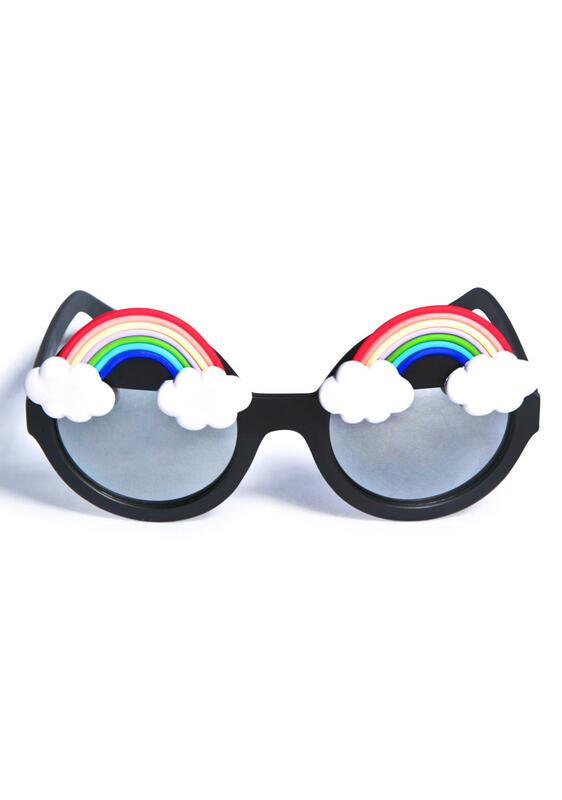 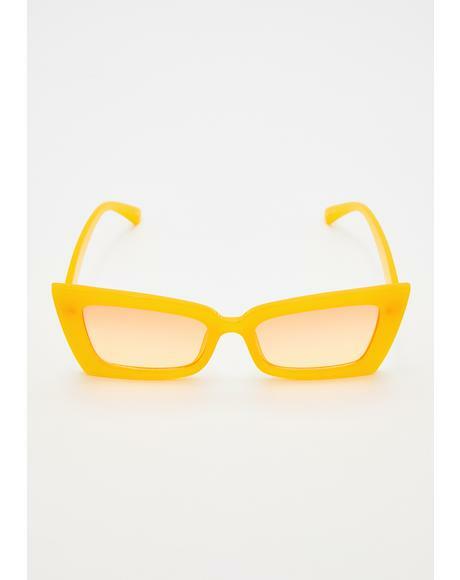 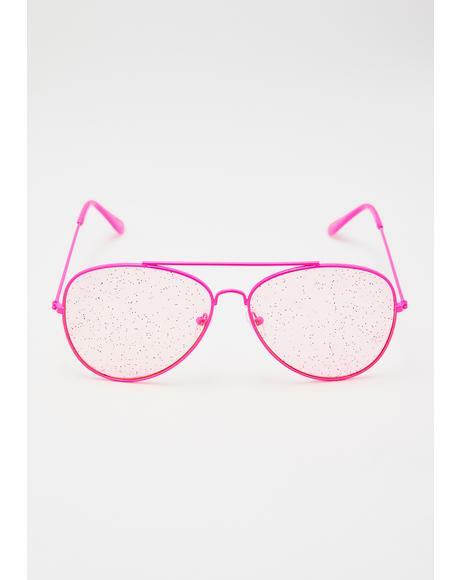 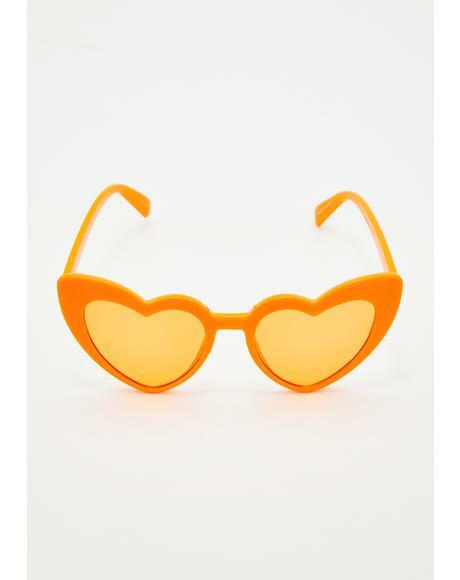 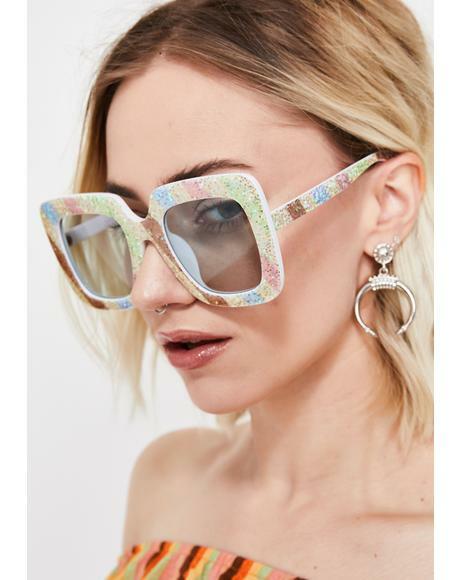 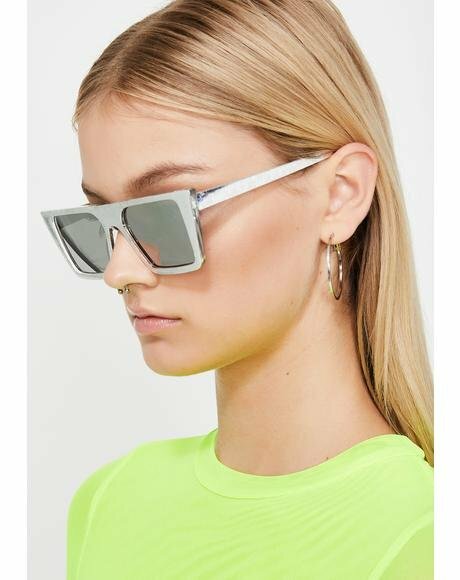 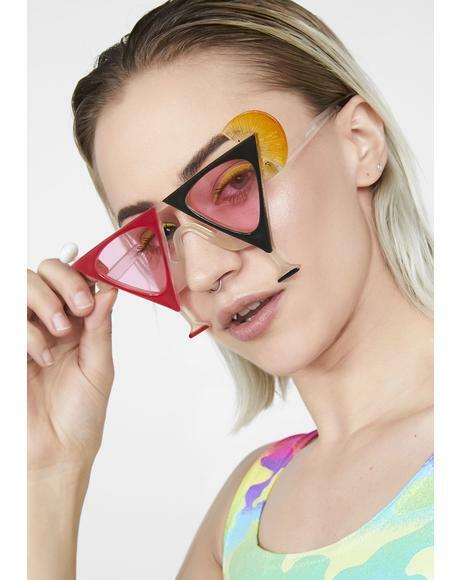 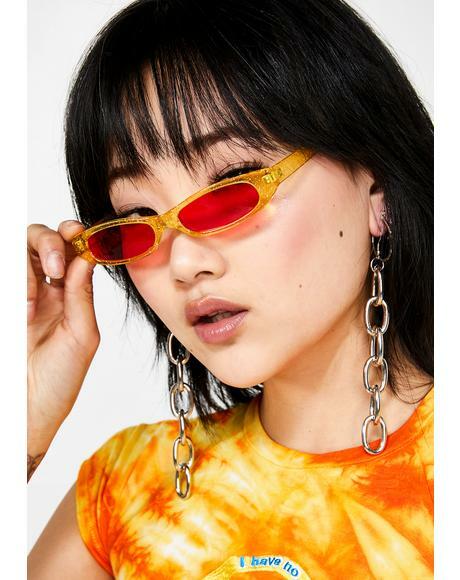 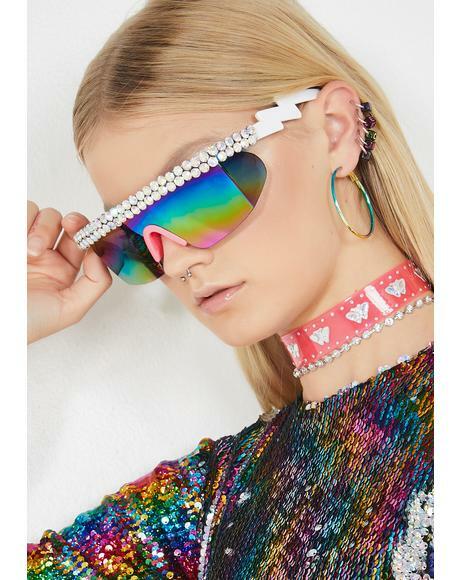 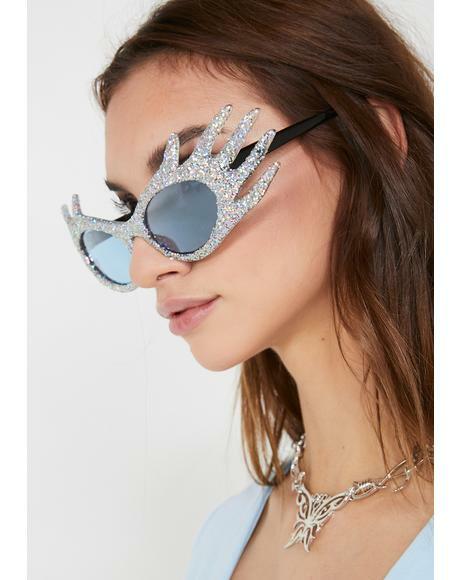 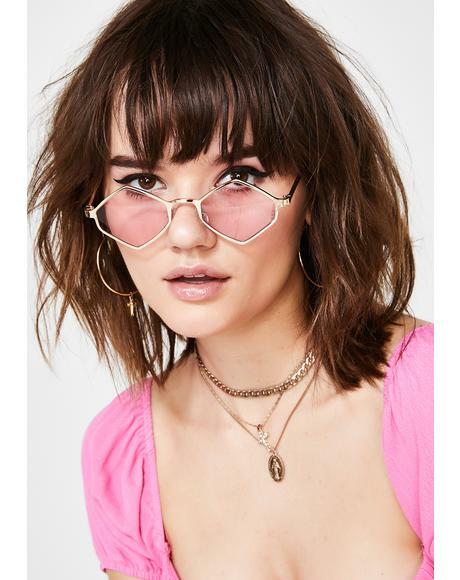 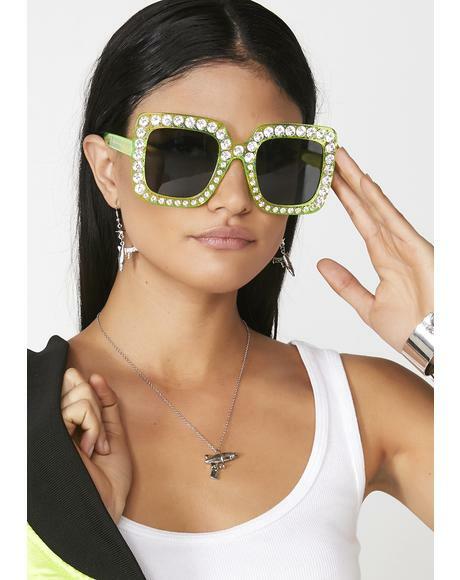 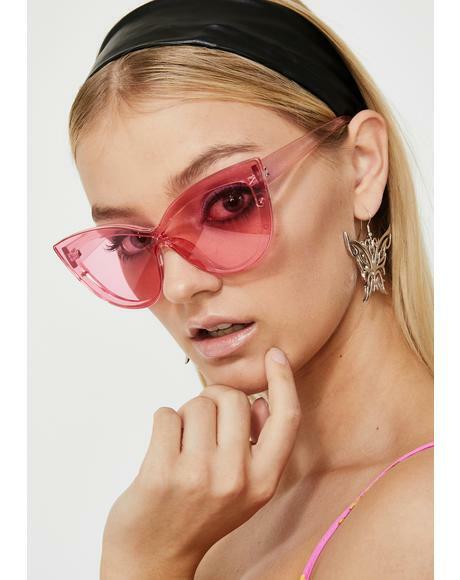 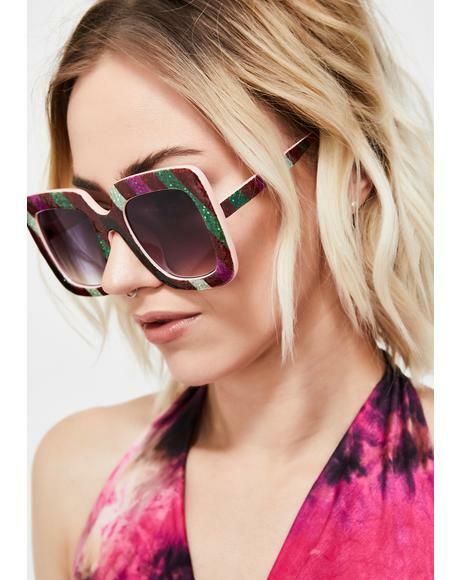 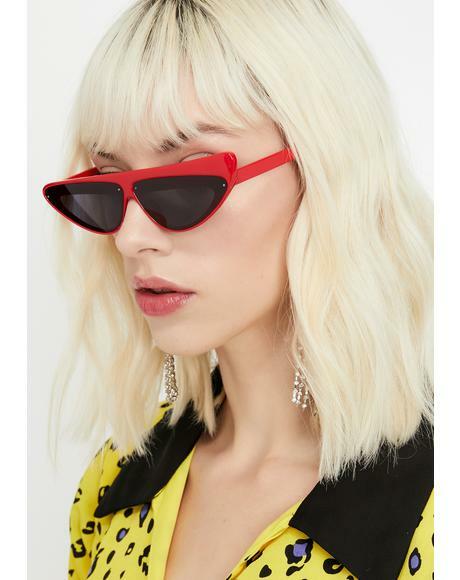 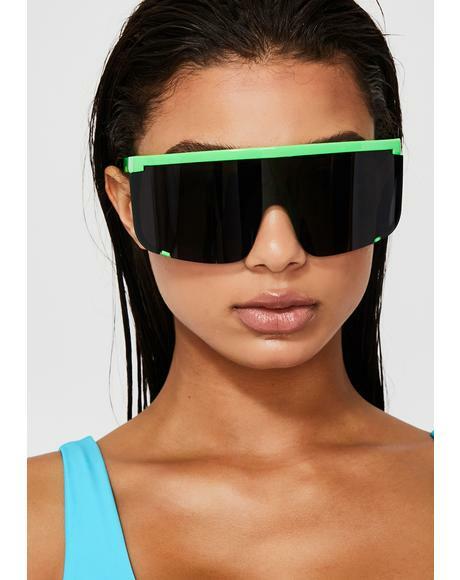 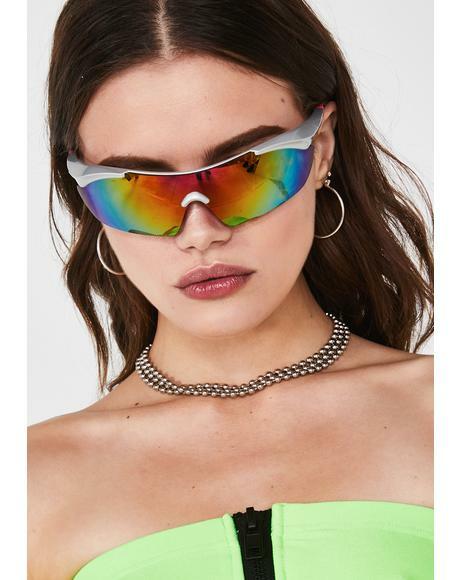 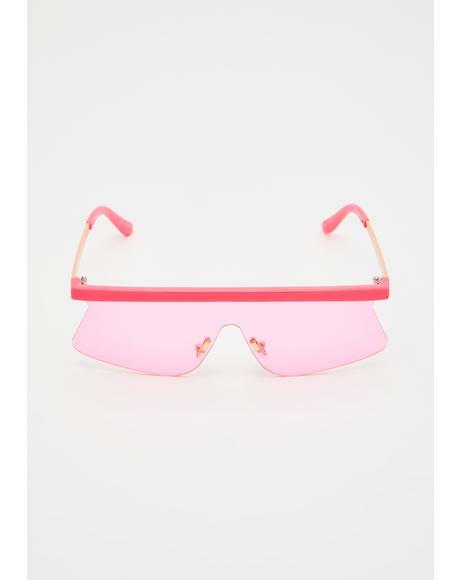 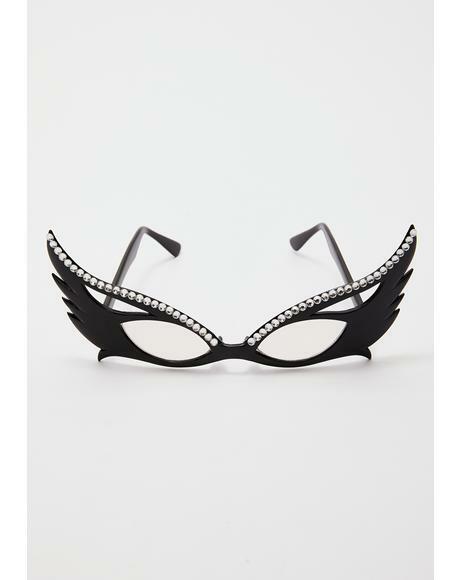 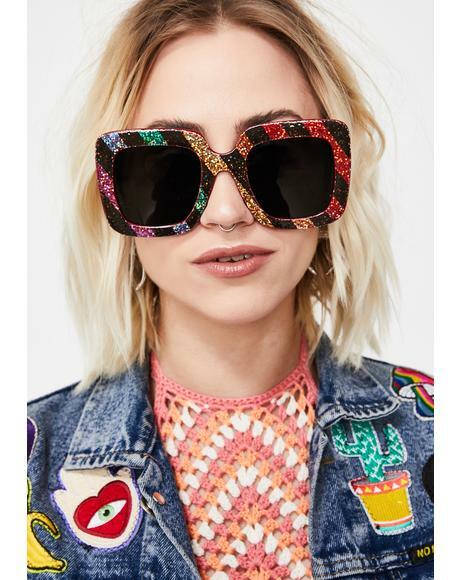 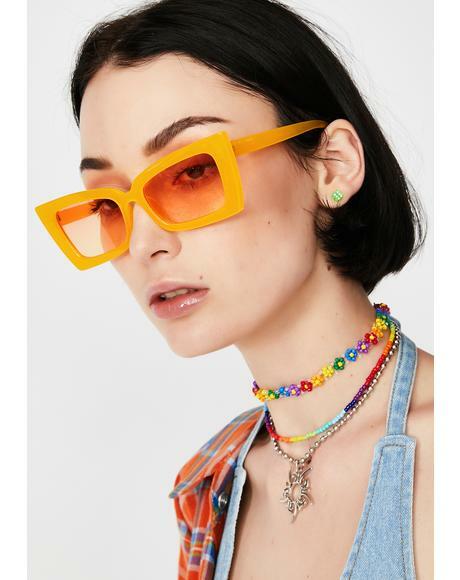 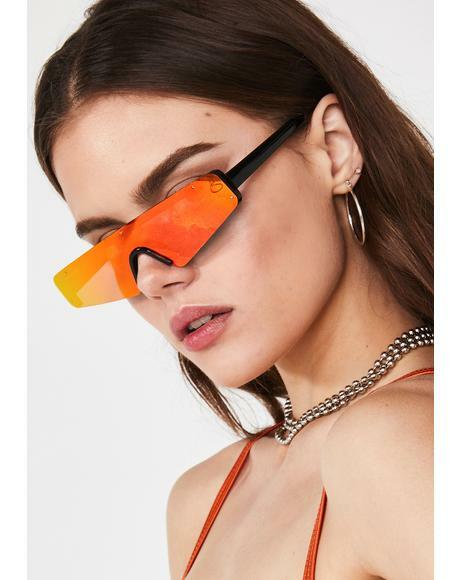 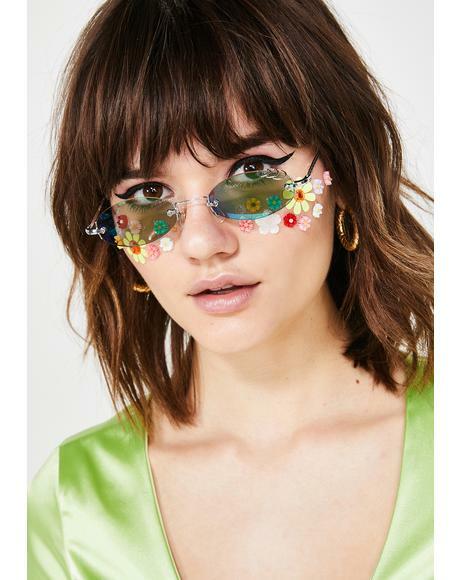 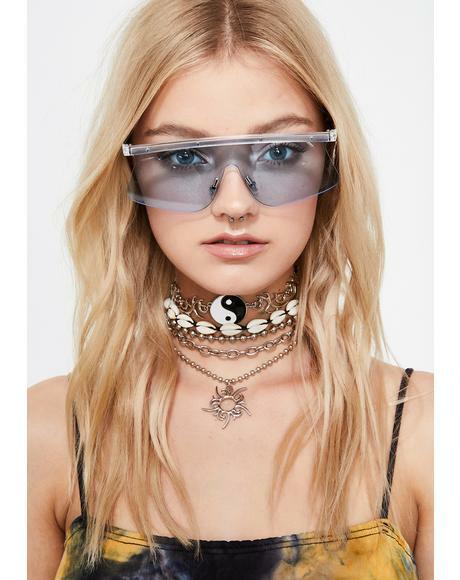 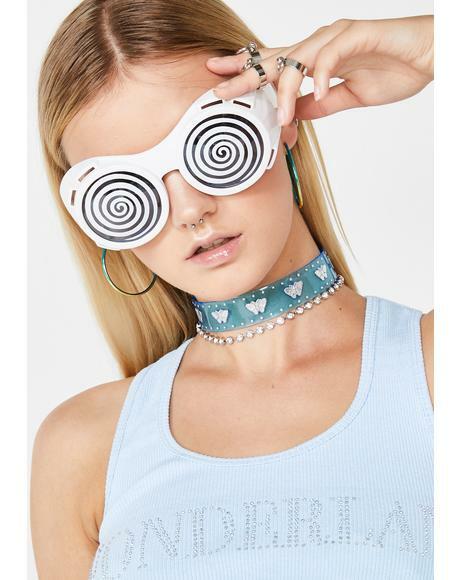 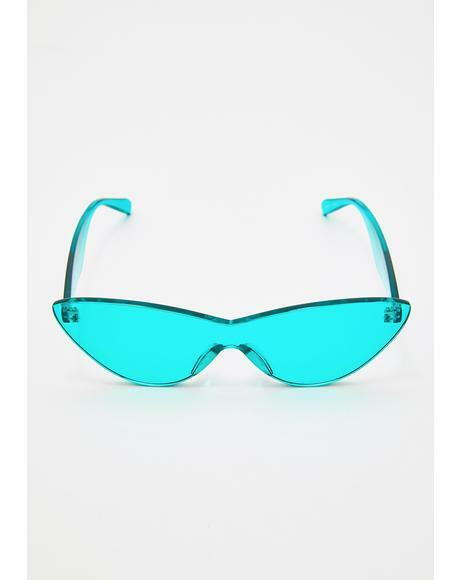 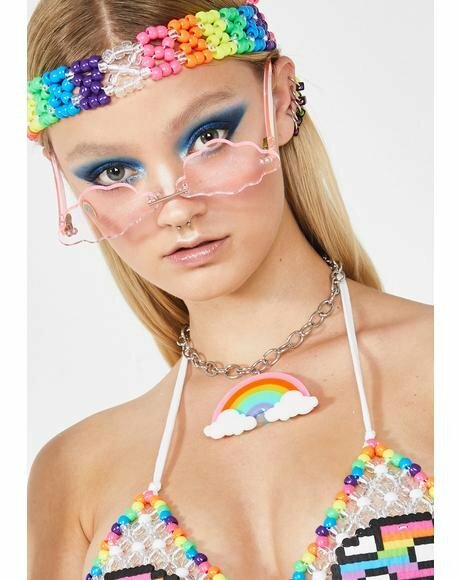 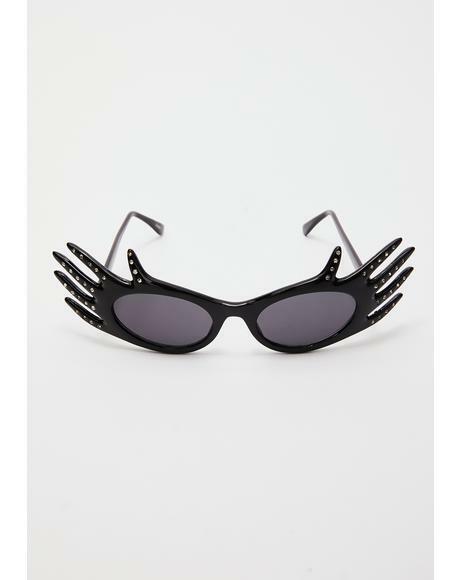 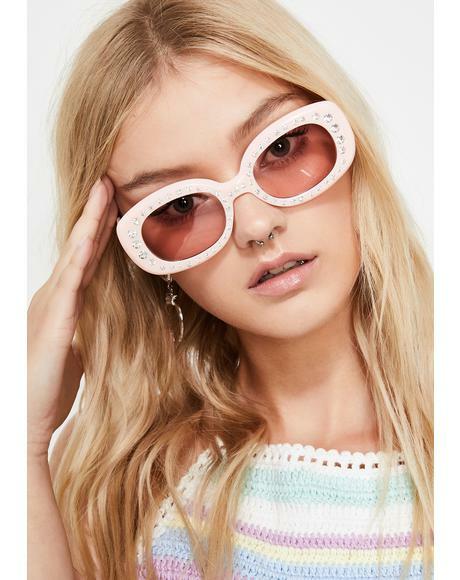 Gasoline Glamour Fantasia Rainbow Wilde Sunglasses will have ya feeling like walkin’ on the clouds. 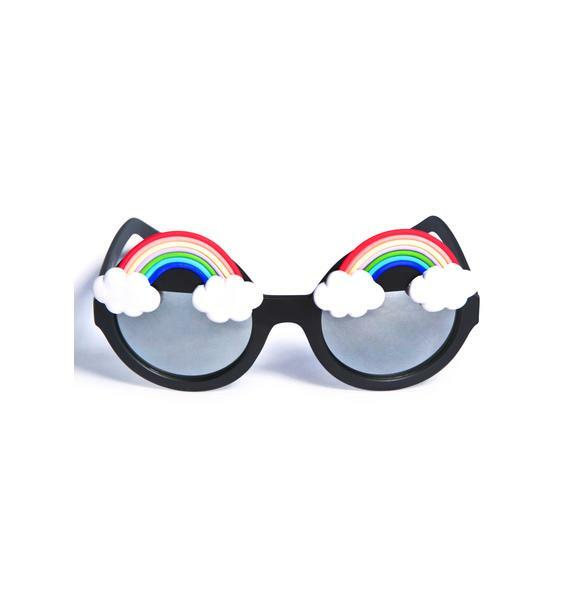 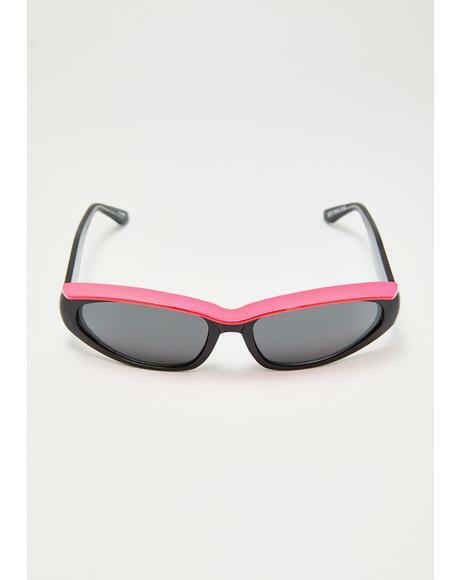 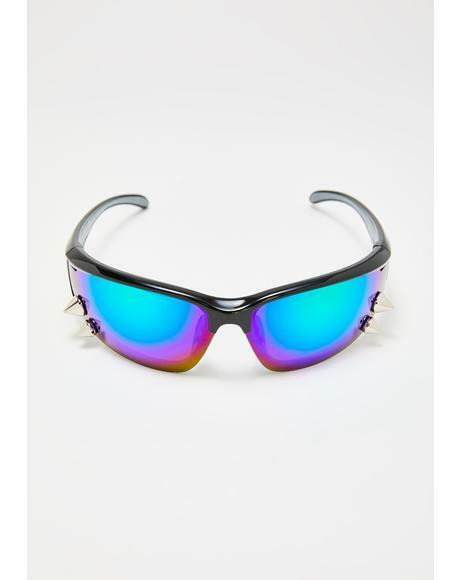 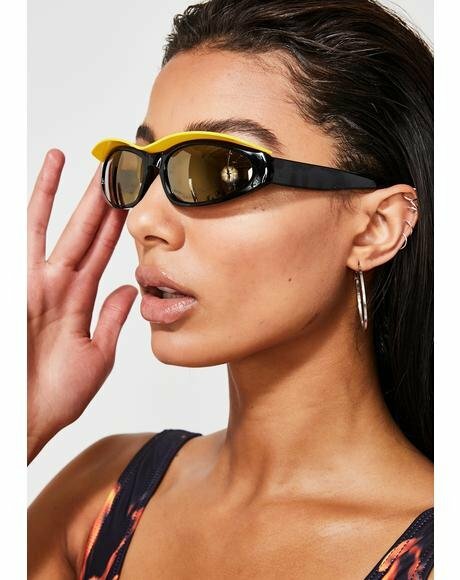 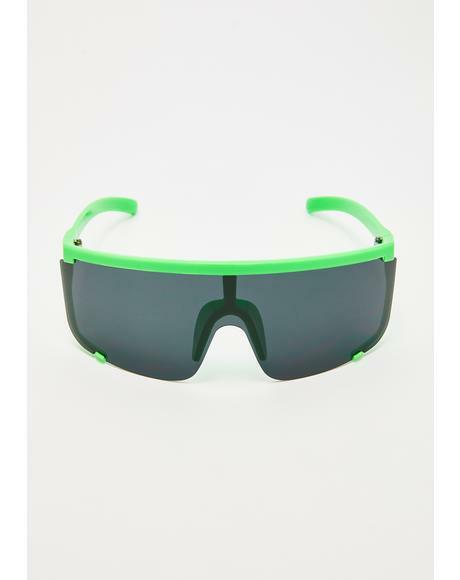 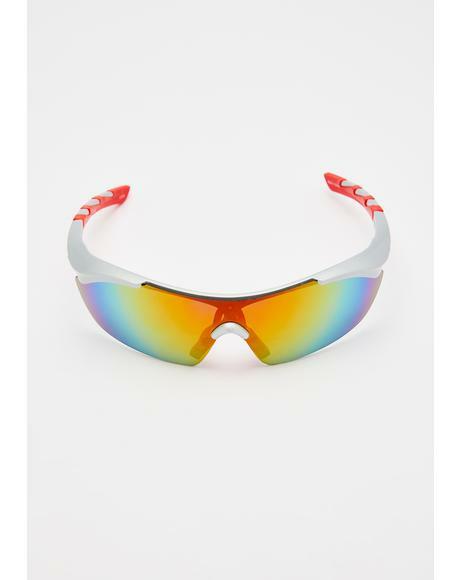 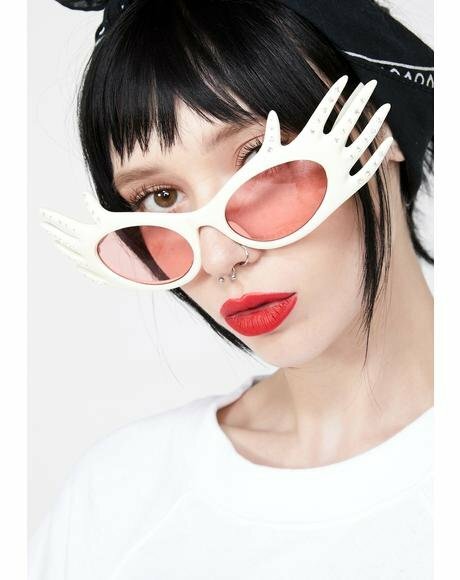 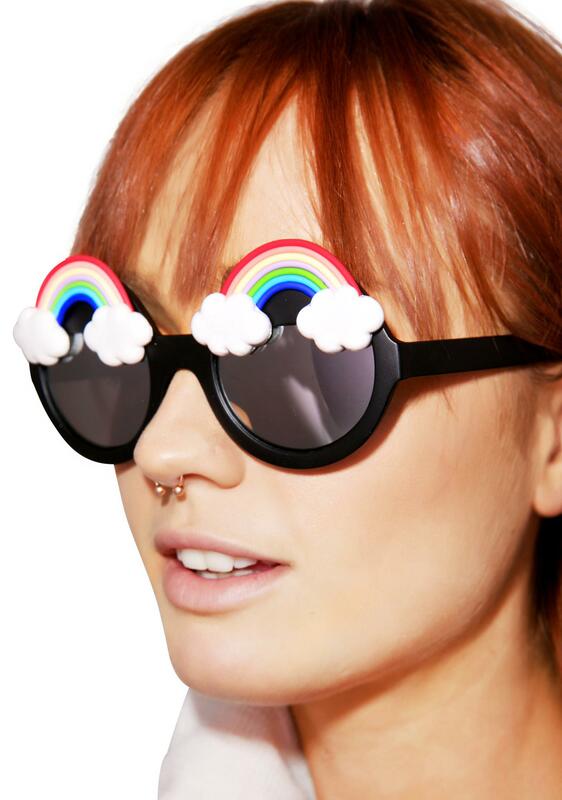 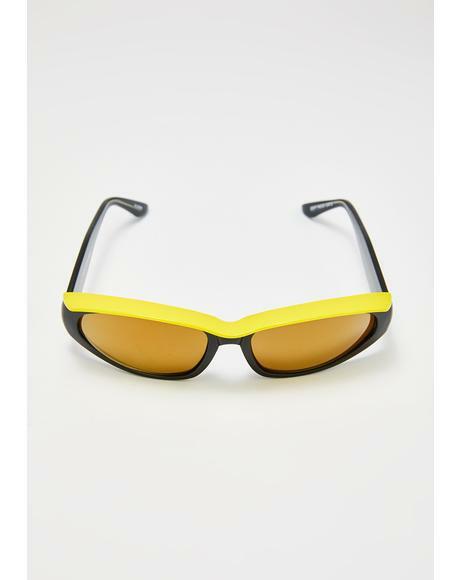 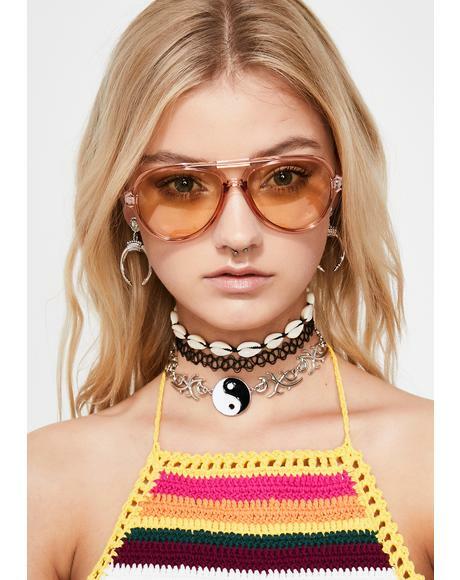 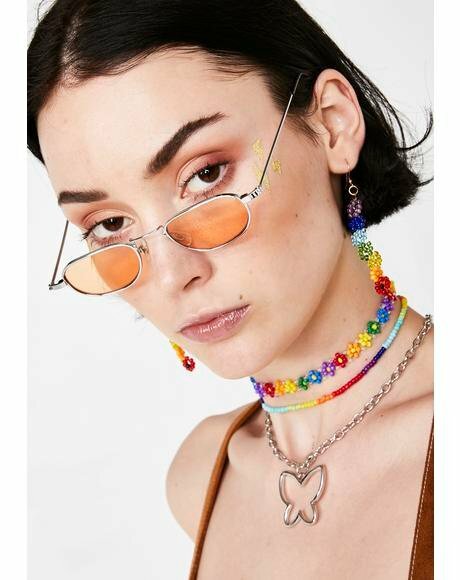 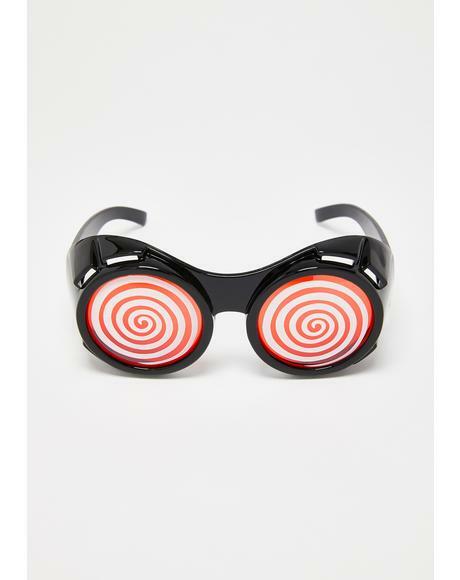 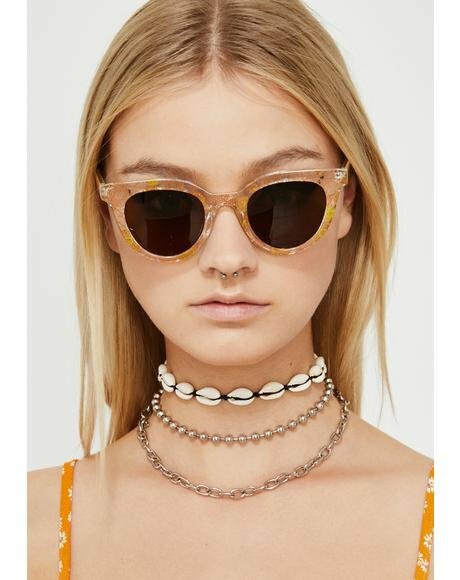 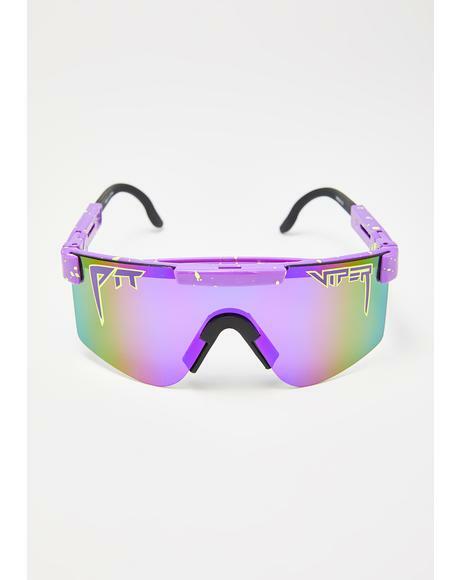 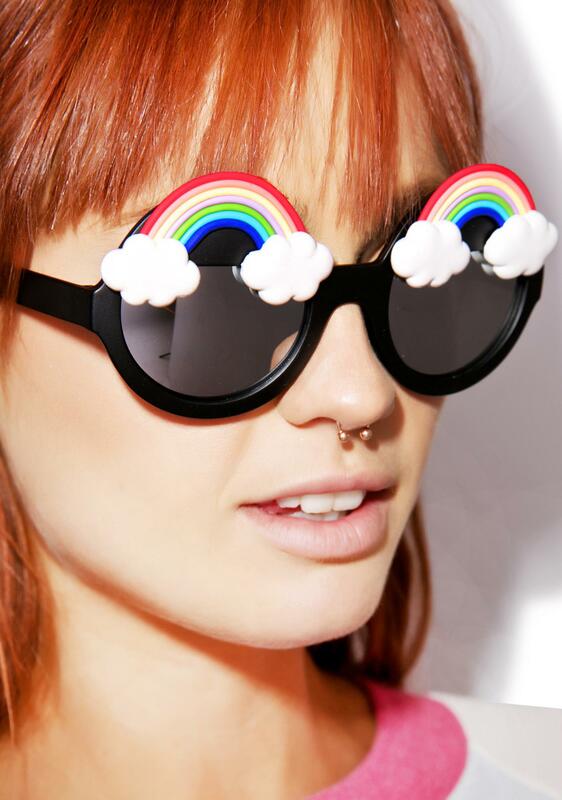 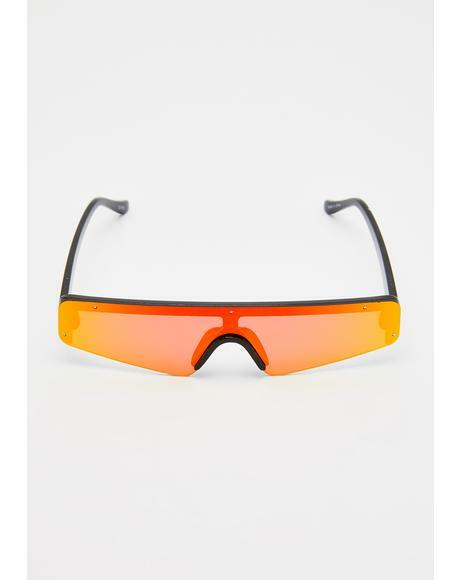 These gorgeous sunglasses have fabulous dual rainbow accents made from clay. 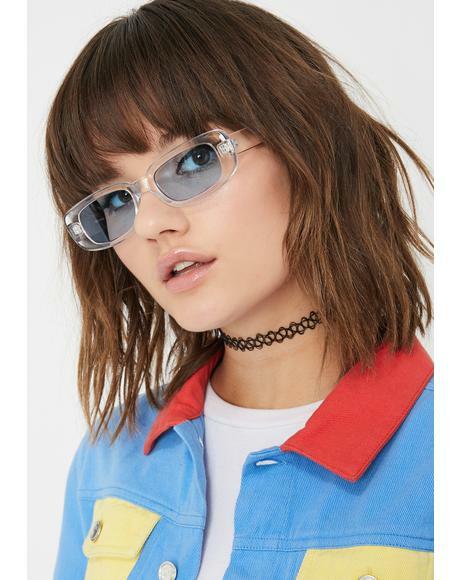 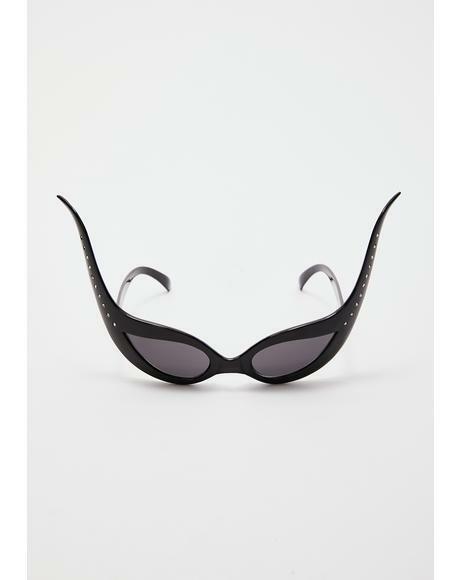 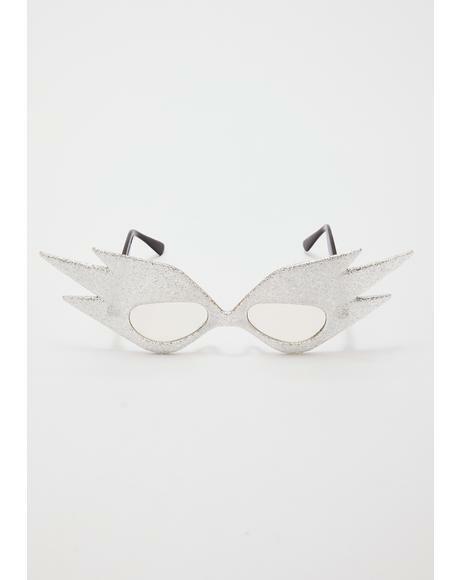 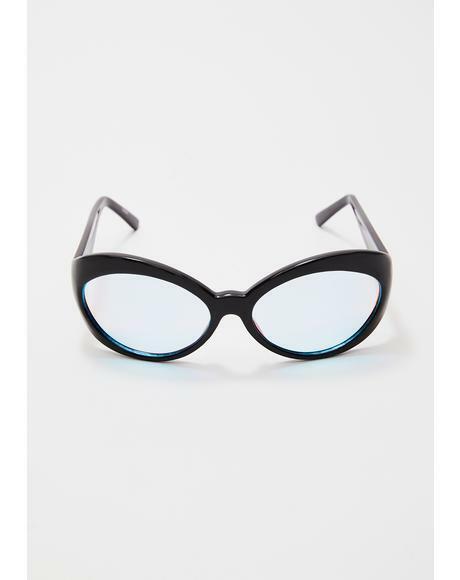 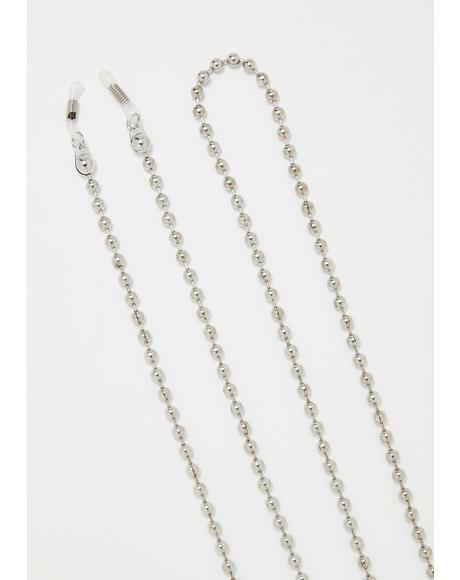 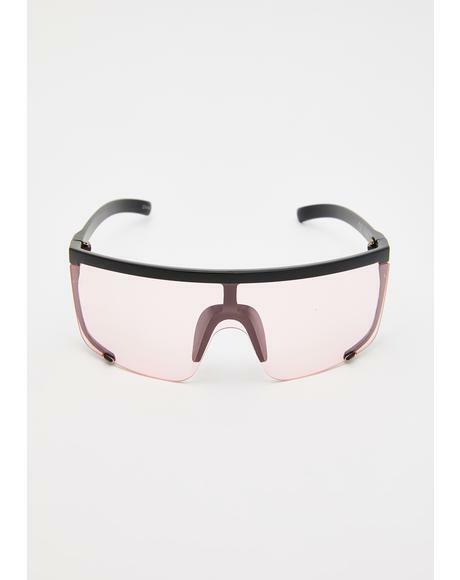 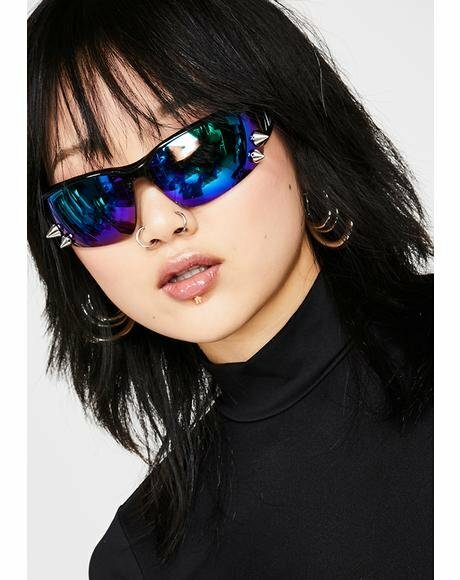 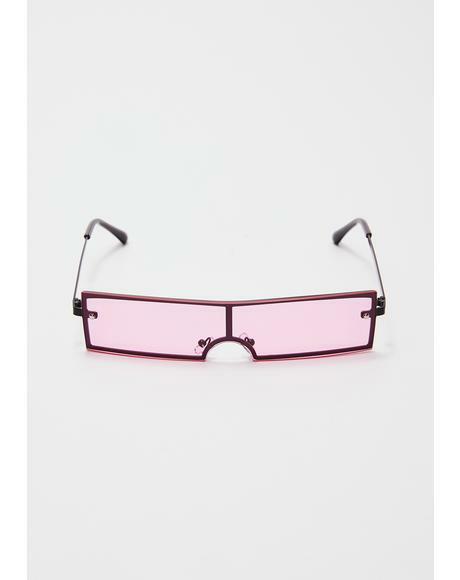 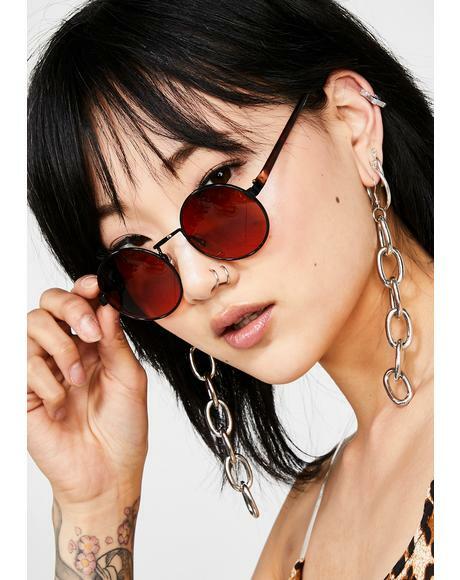 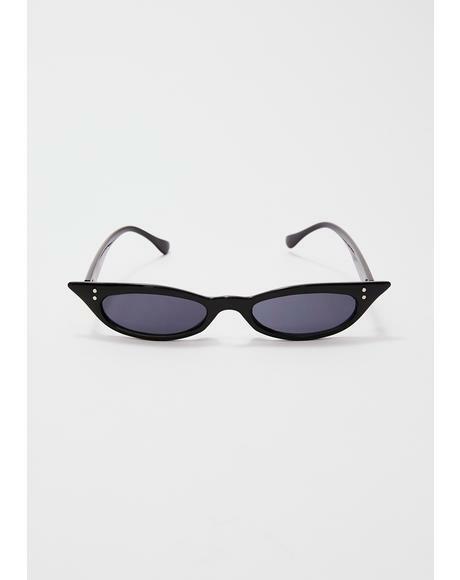 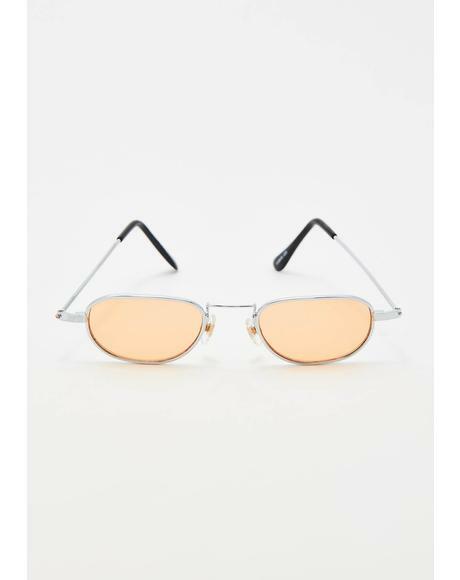 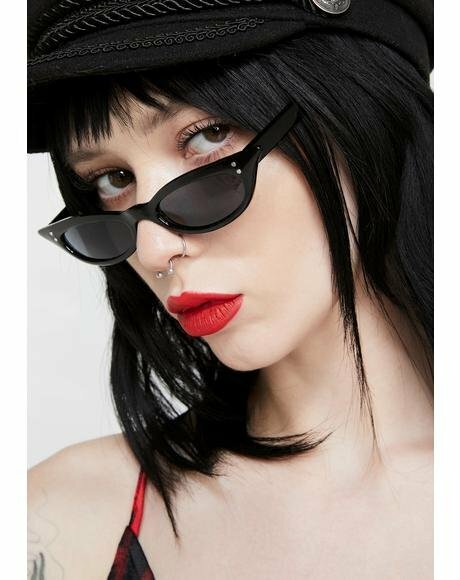 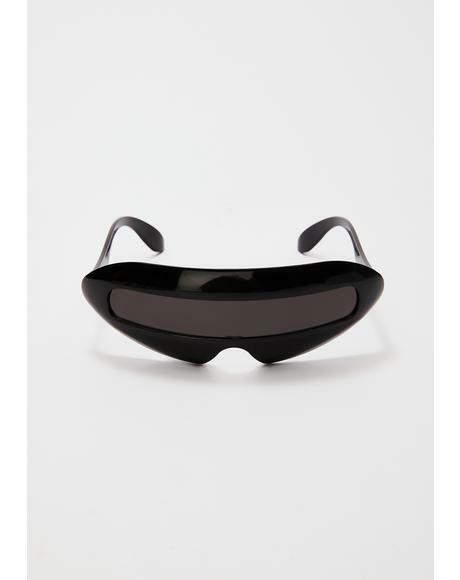 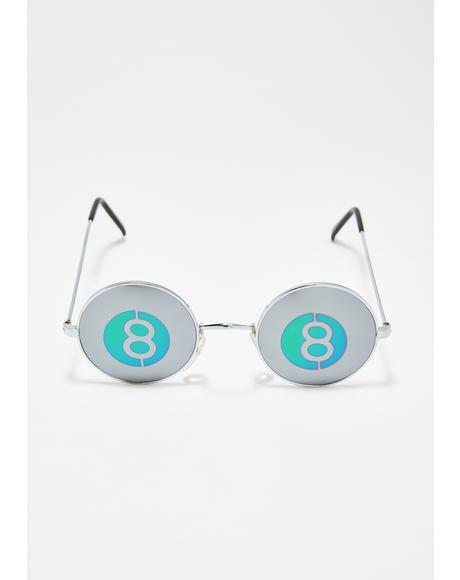 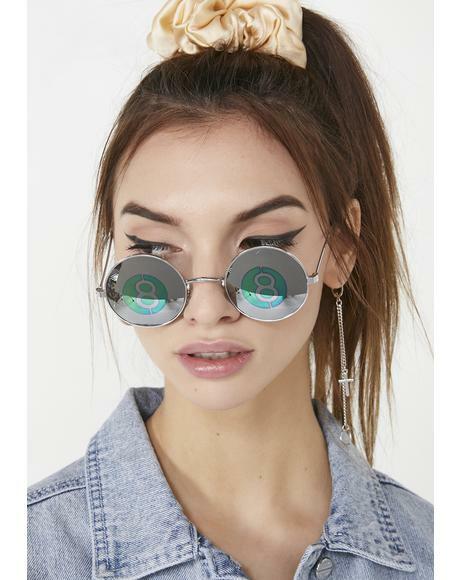 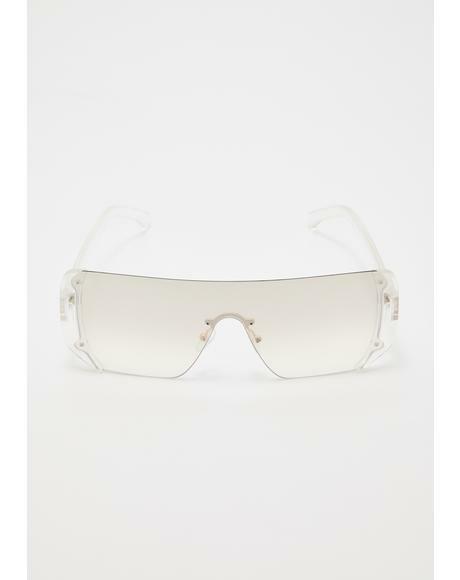 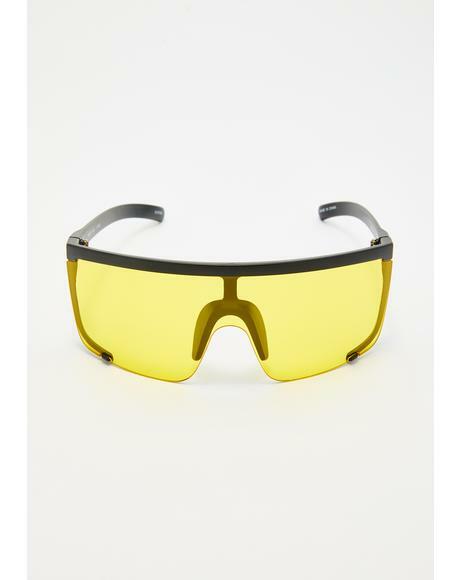 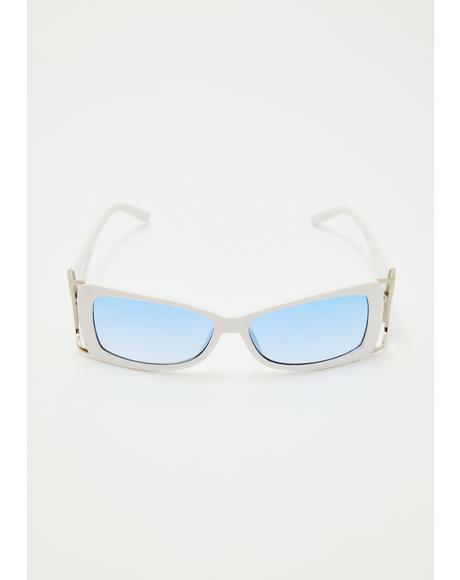 Featuring round mirrored silver lenses and a black frame.